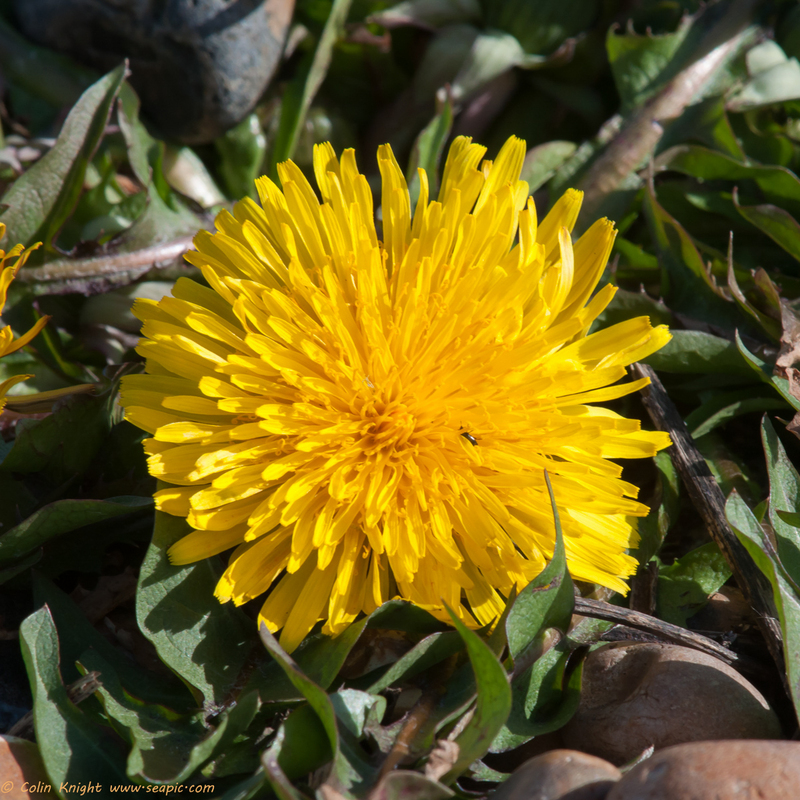 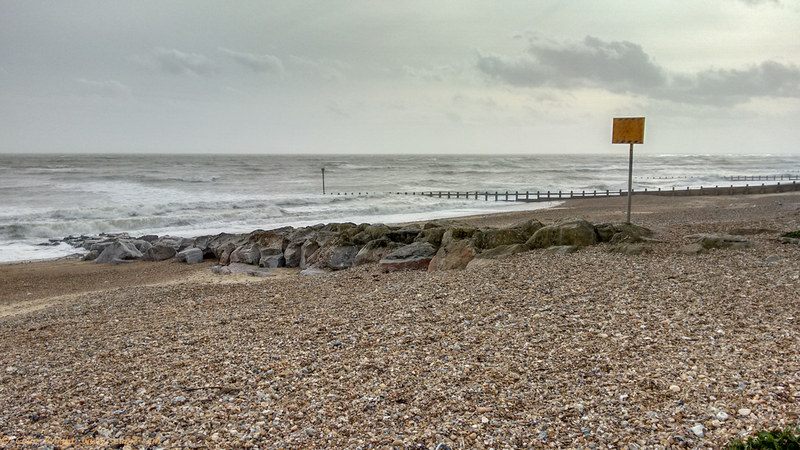 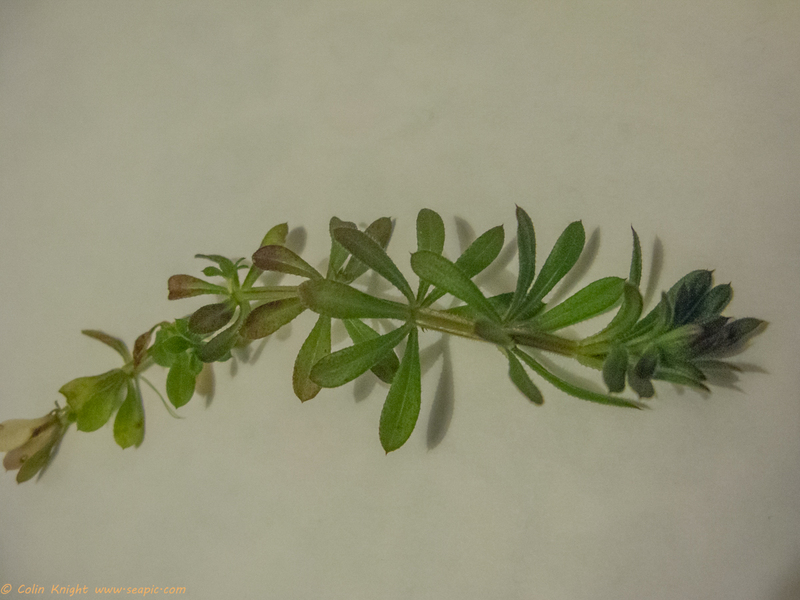 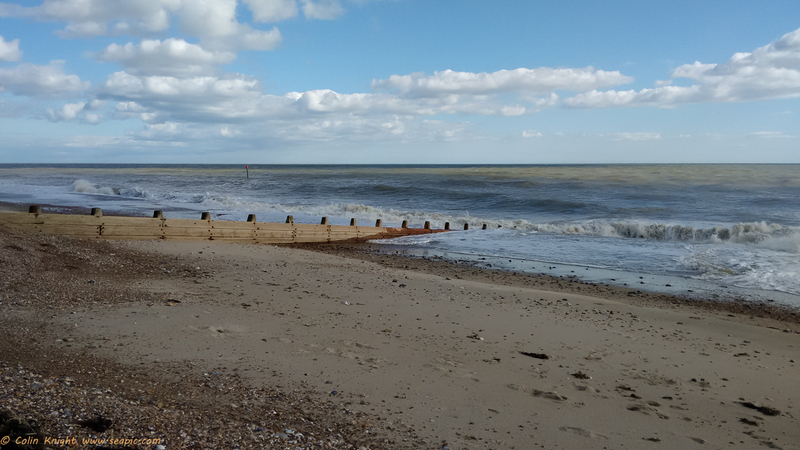 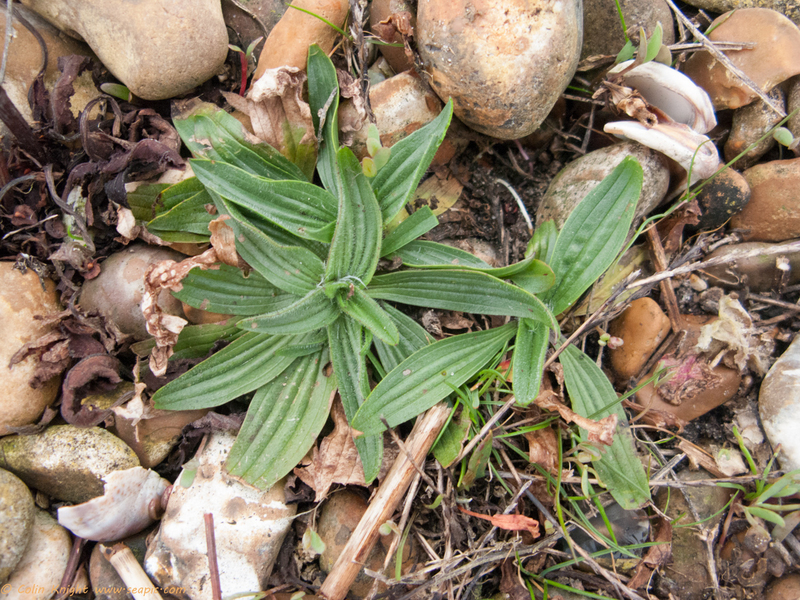 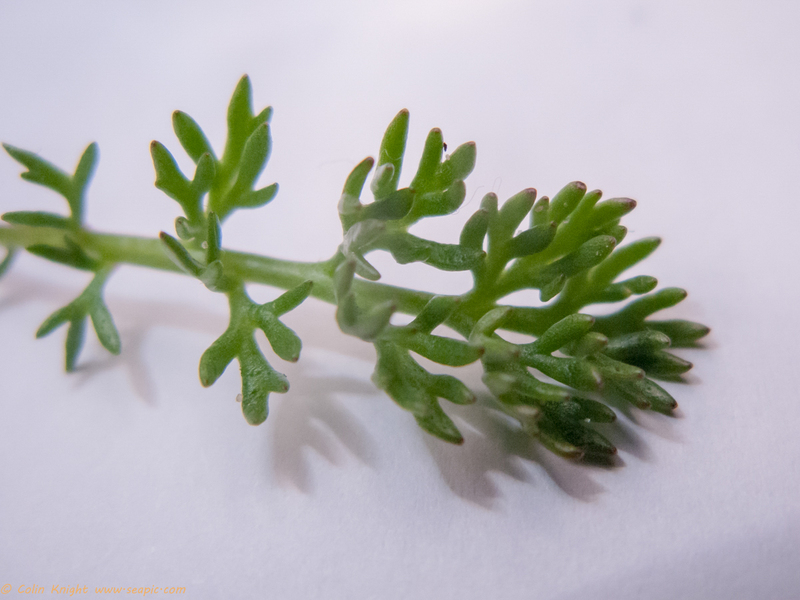 On Saturday I visited the beach in a howling gale to look for some more shingle plants. 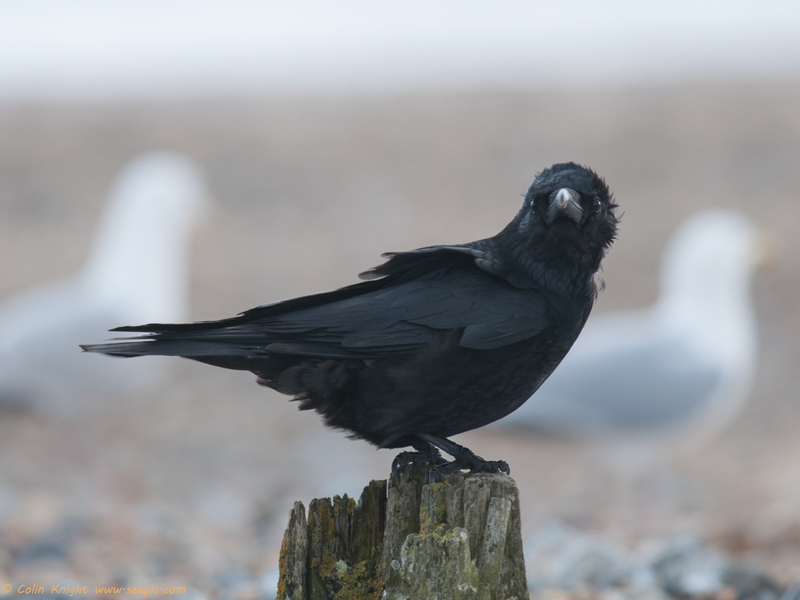 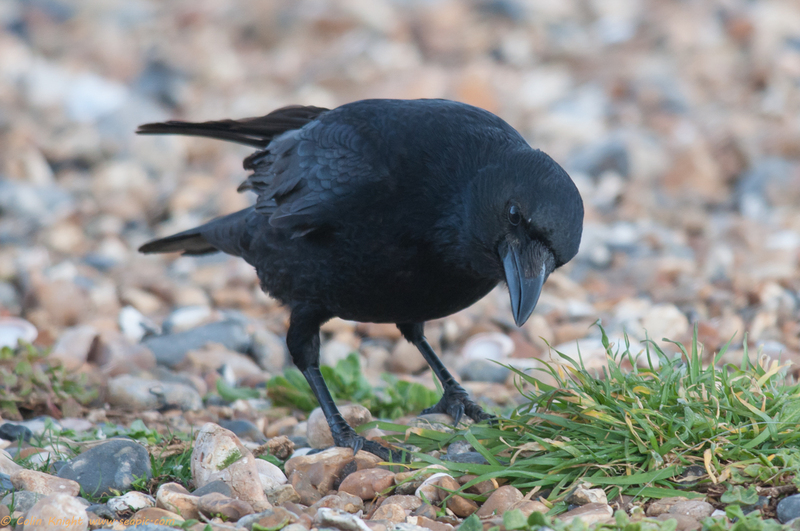 The following day we both walked to the corner of Sea Road where Crows were feeding. 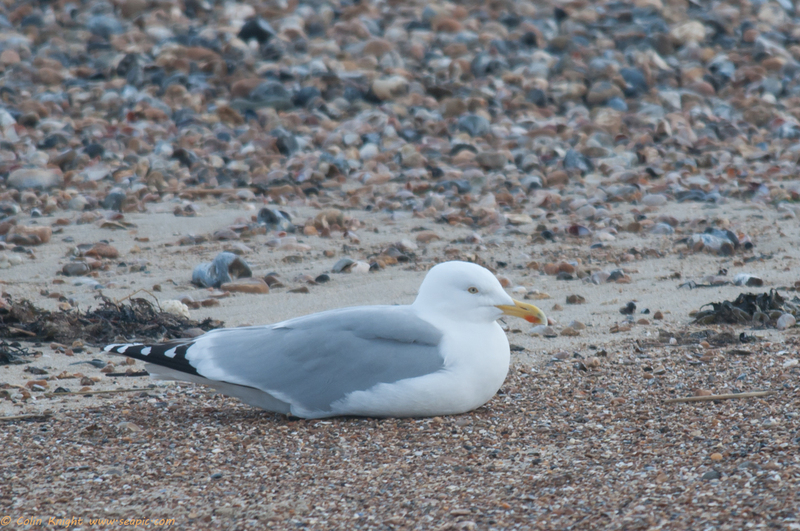 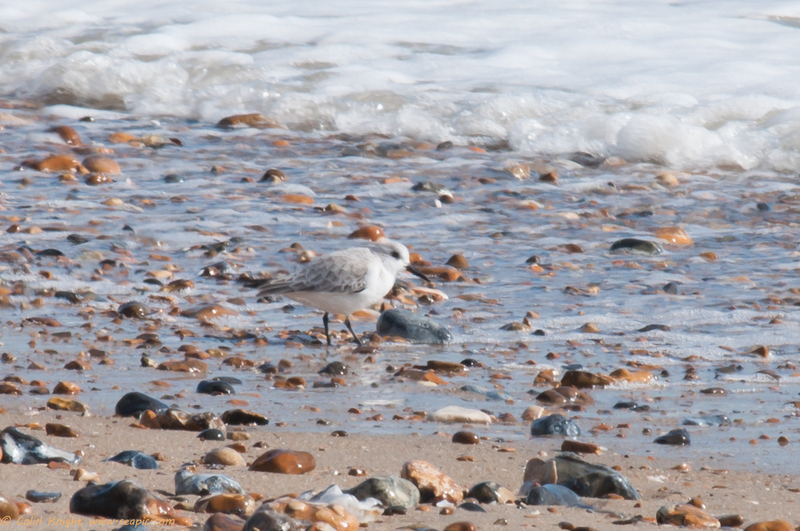 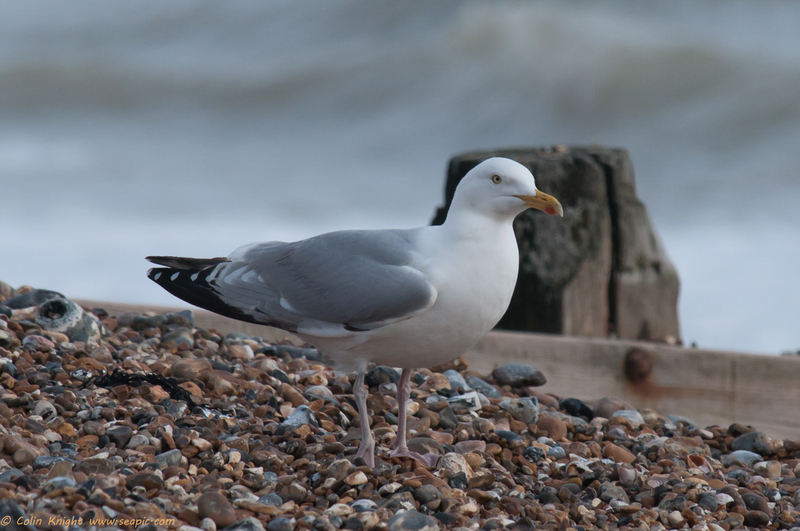 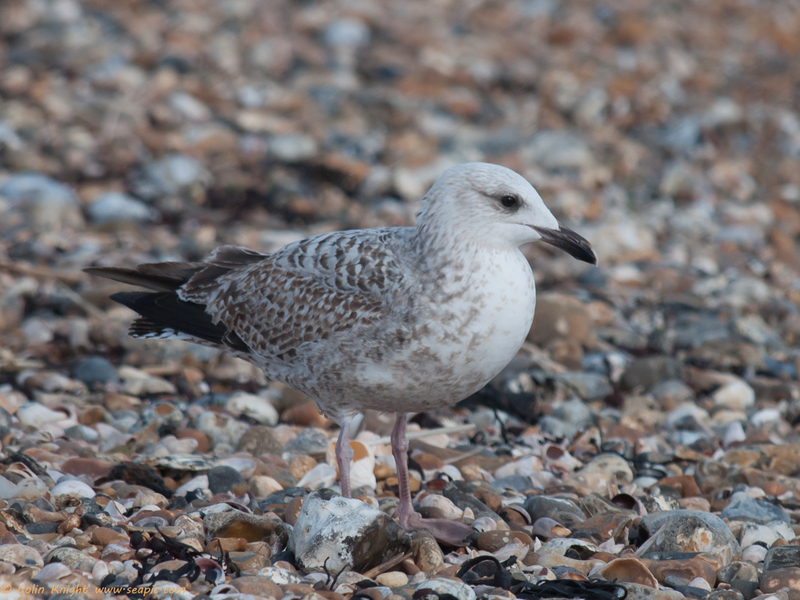 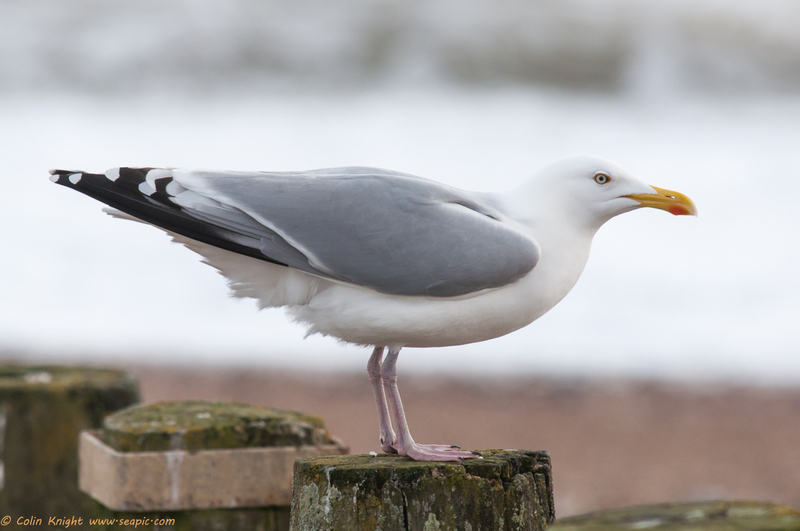 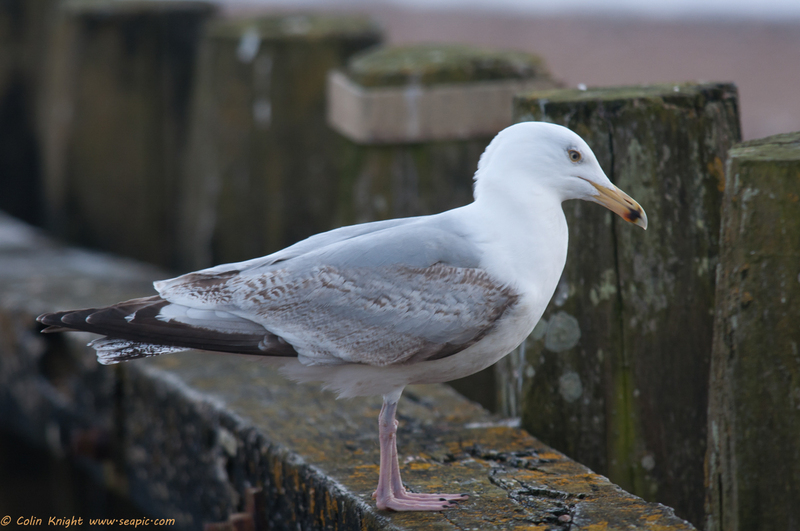 Several generations of Herring Gulls were on the beach, plus Turnstones sheltering at the top of the shingle. 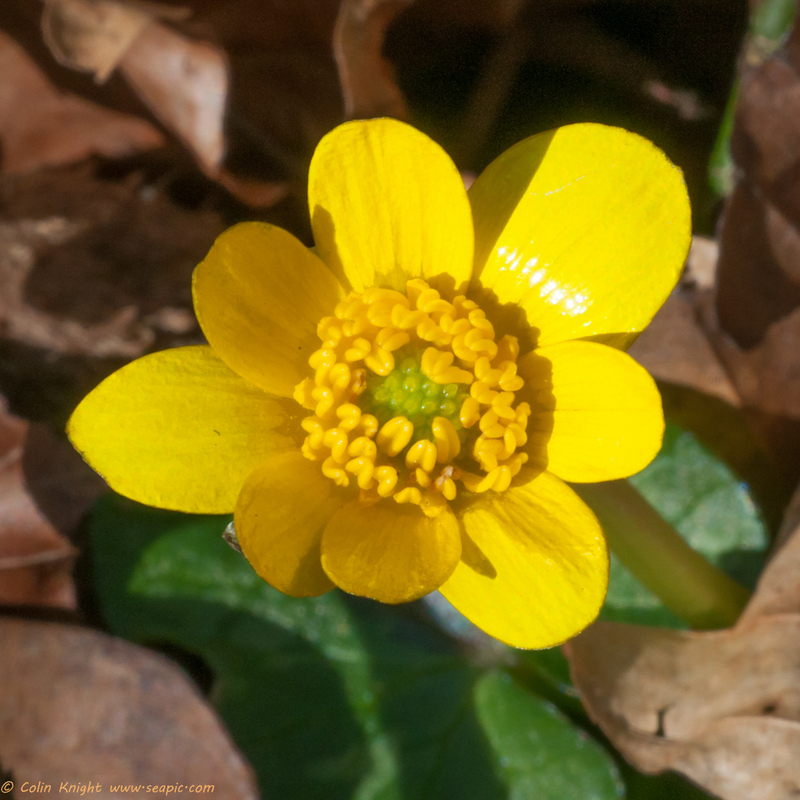 Today I walked in Houghton Forest and a Brimstone fluttered down to nectar on Lesser Celandine as soon as I arrived. 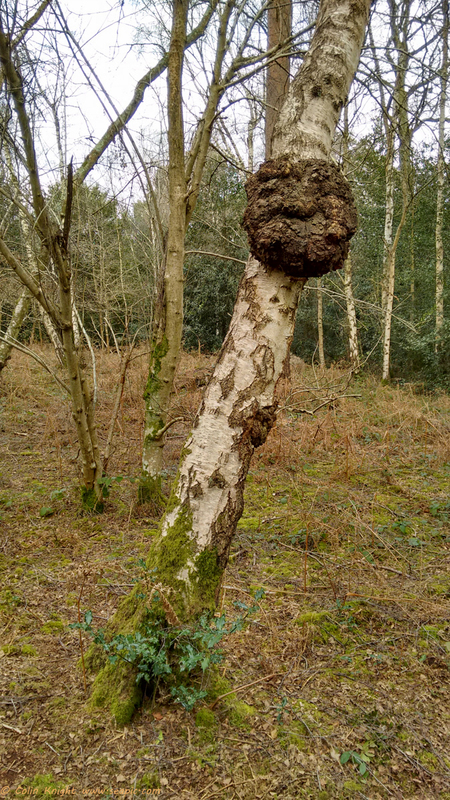 It didn’t stay for a photo and appeared again before I set off on my walk. 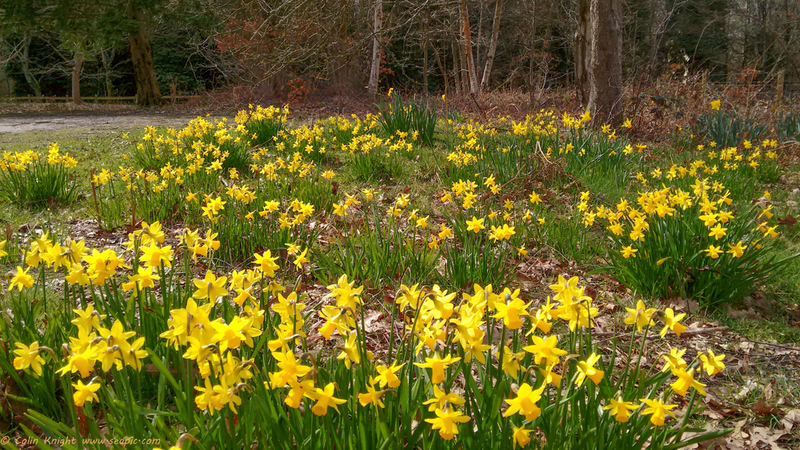 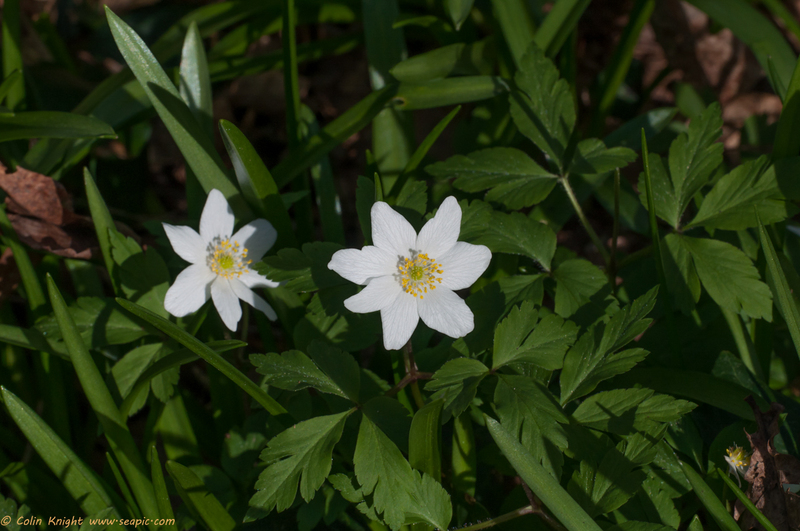 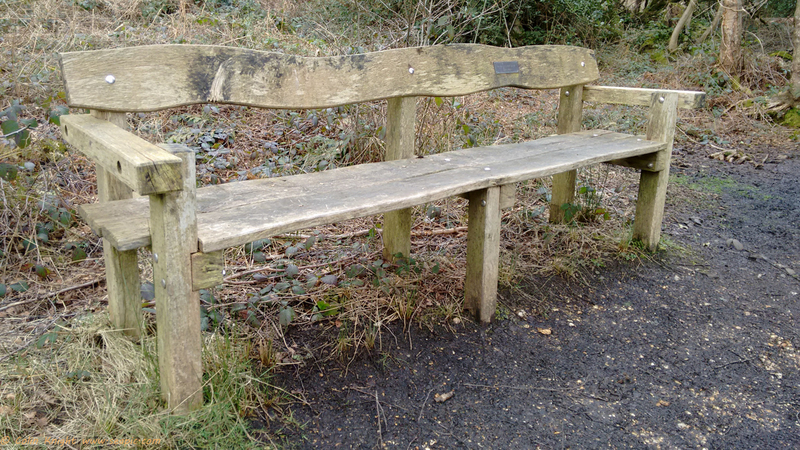 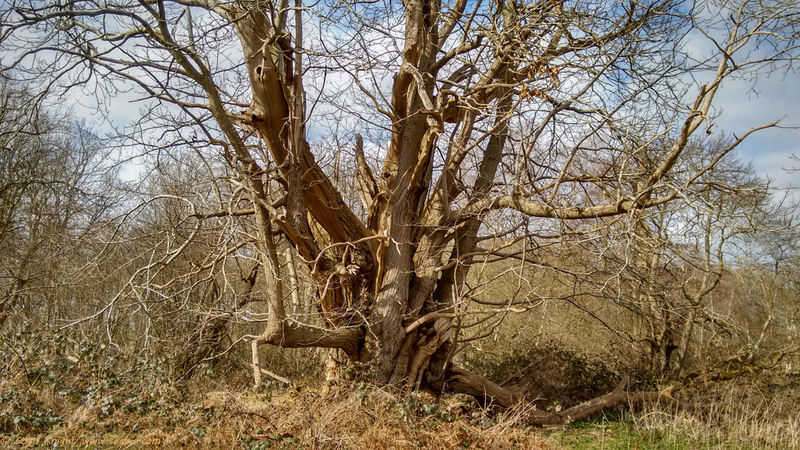 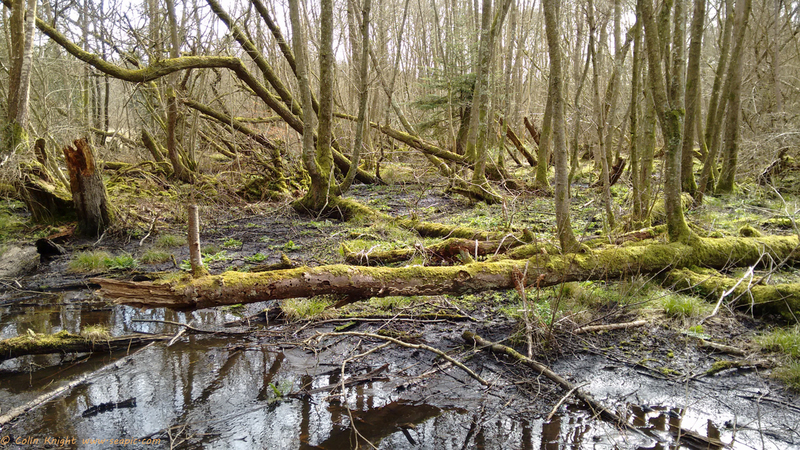 Afterwards I walked round the Angmering Road woods at Dover Lane. 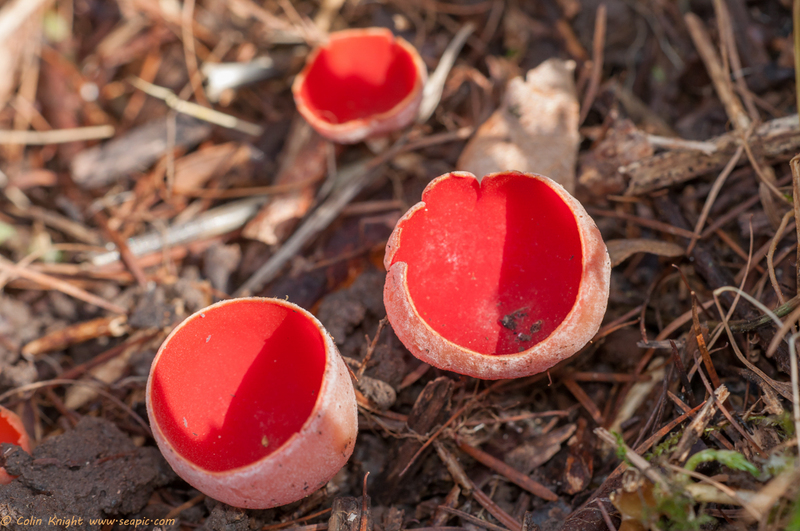 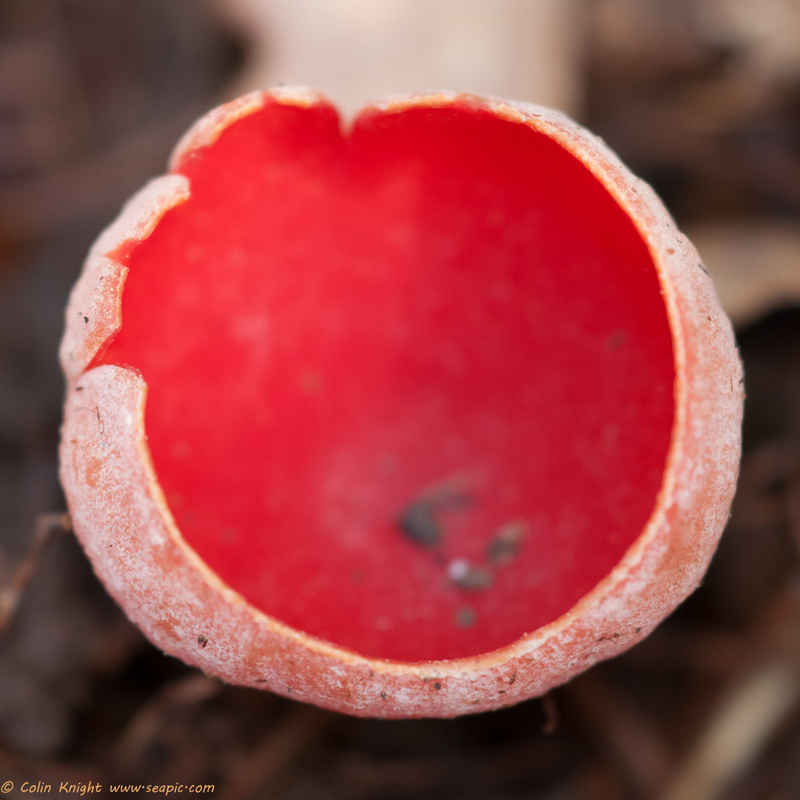 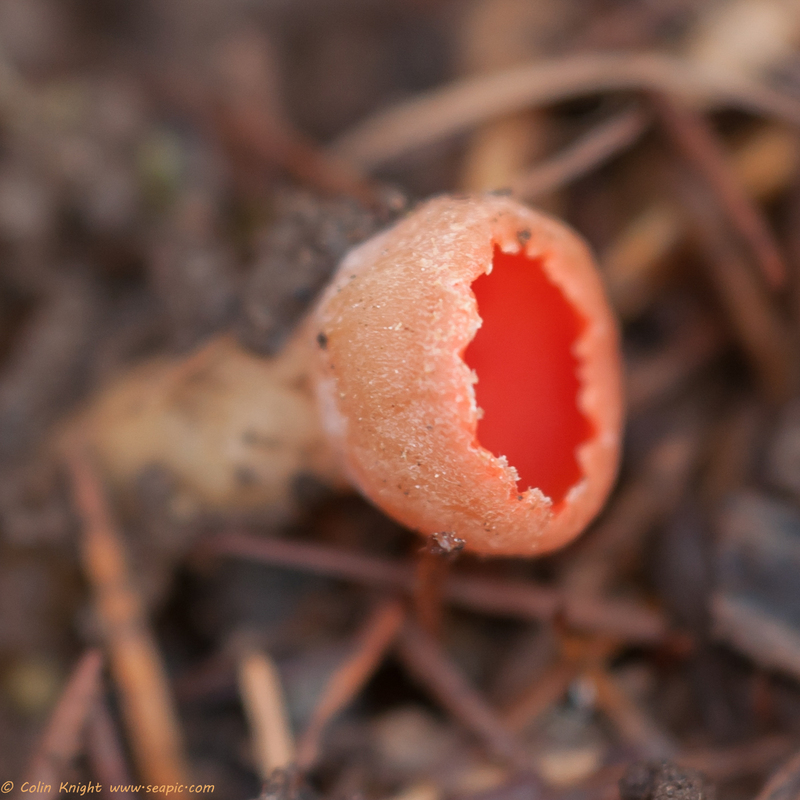 I was pleased to find my patch of Scarlett Elf Cups in good condition where I found them last year. 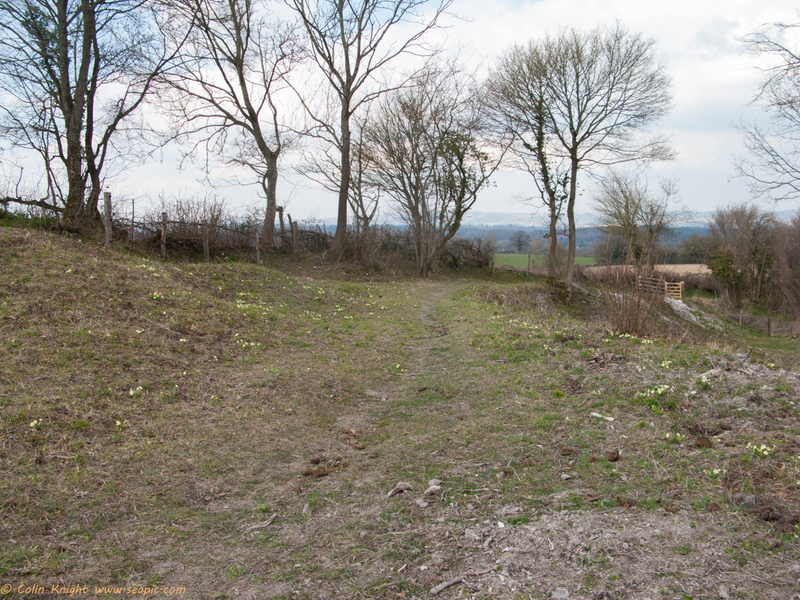 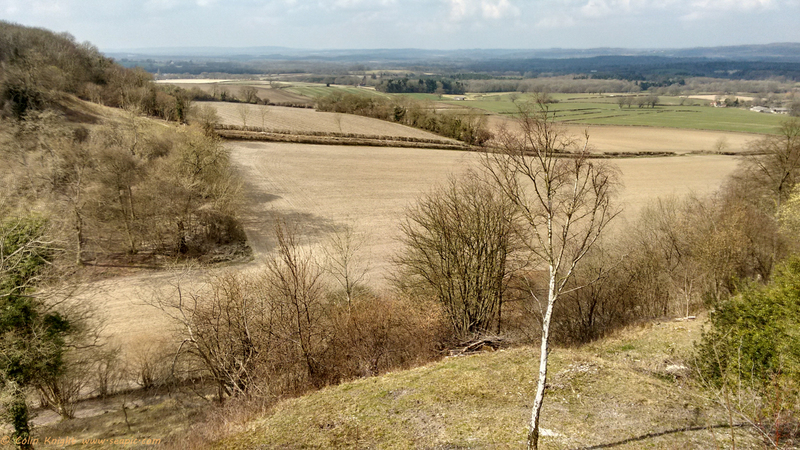 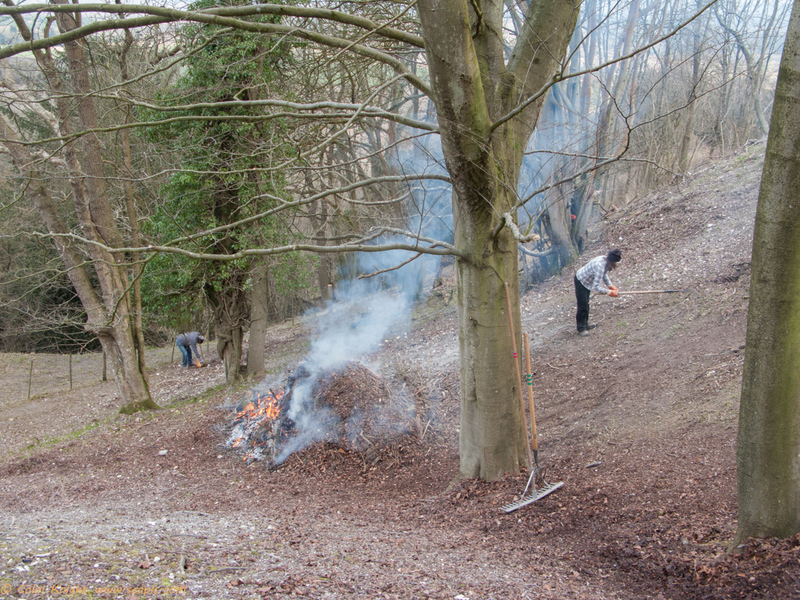 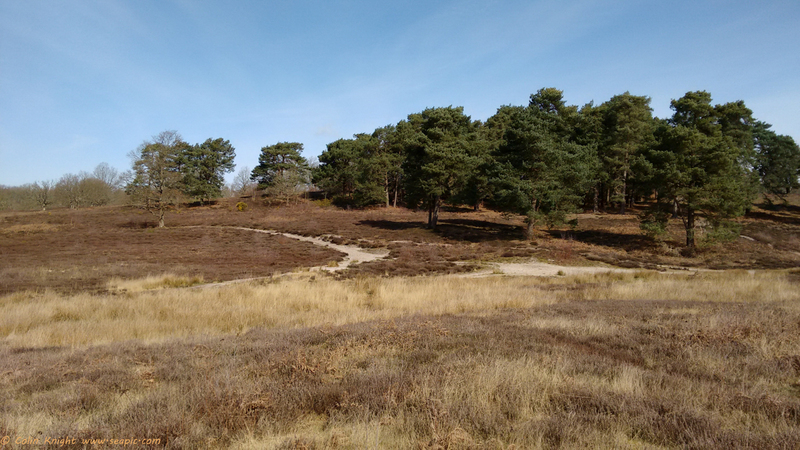 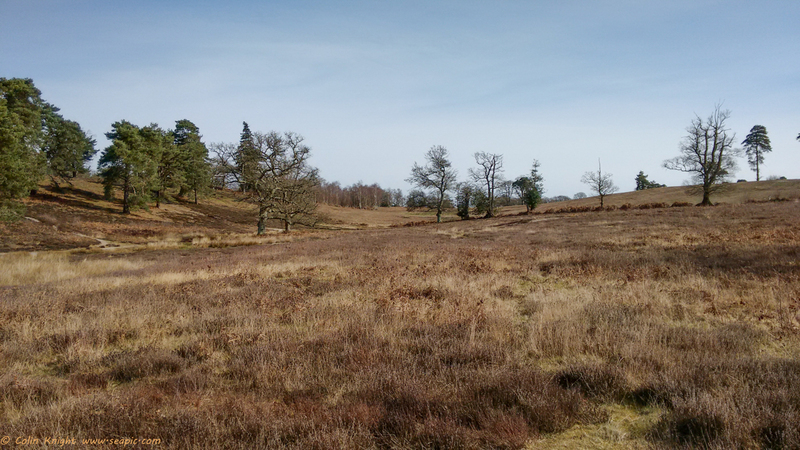 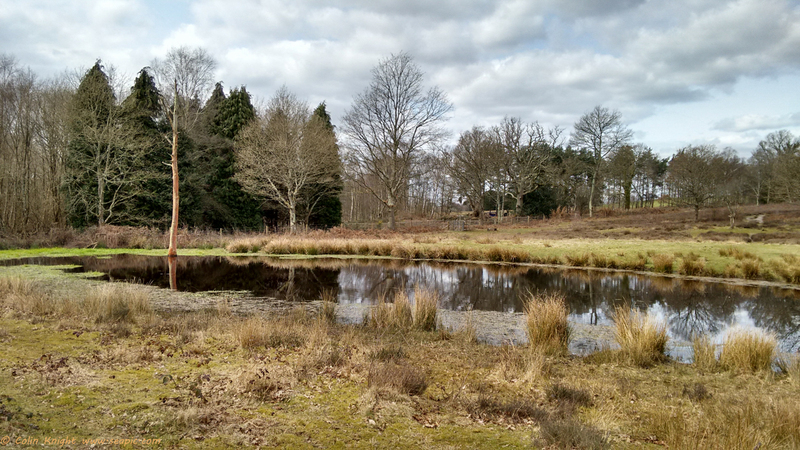 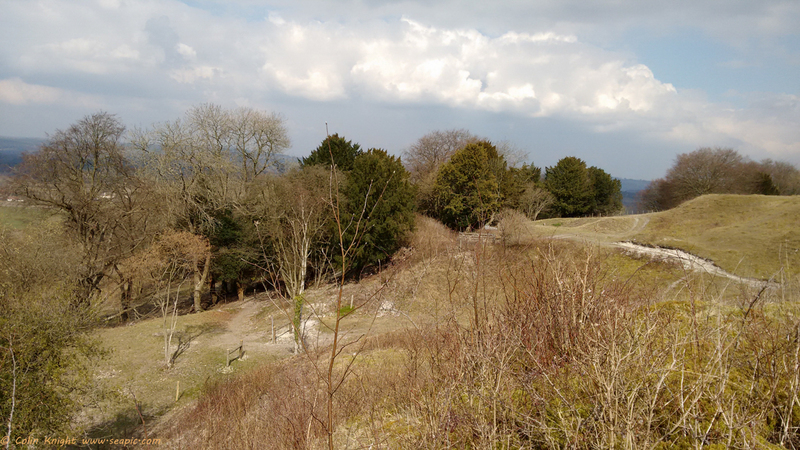 On Wednesday we had our penultimate work party of the season at Heyshott escarpment - lots of cutting, raking and burning. 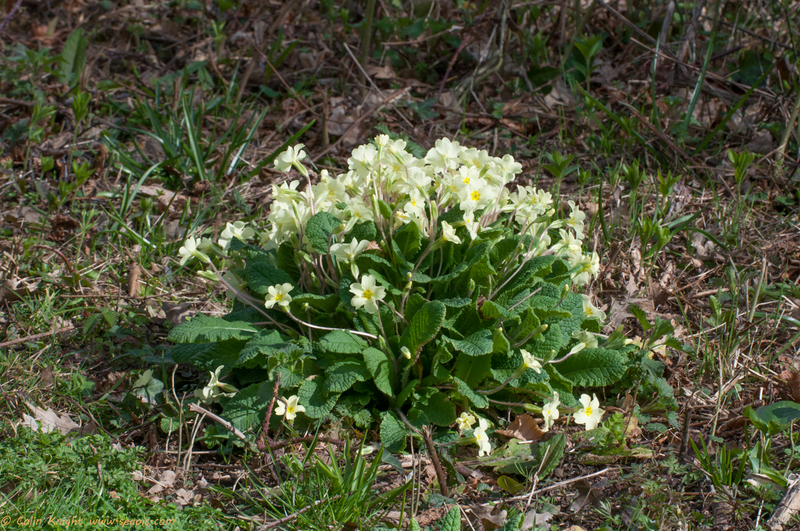 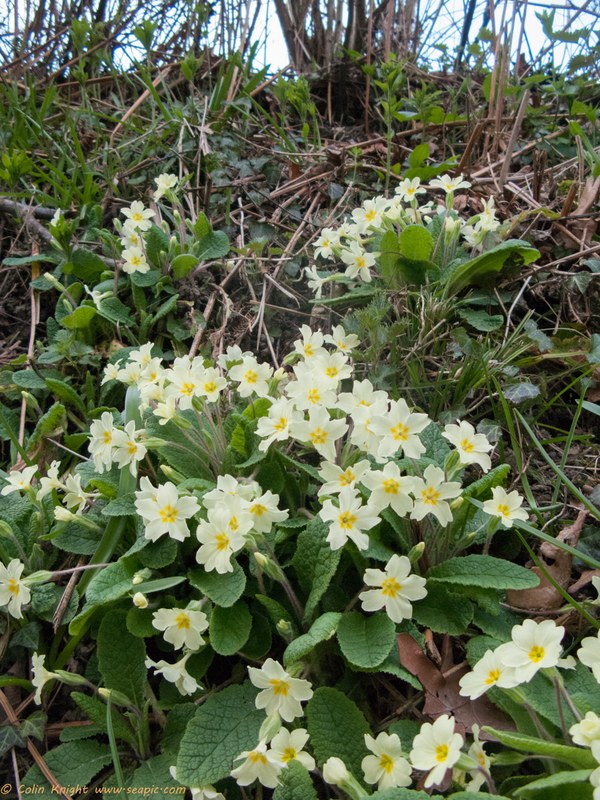 The primroses are bursting out in numbers which is great for the Duke of Burgundies due to emerge next month. 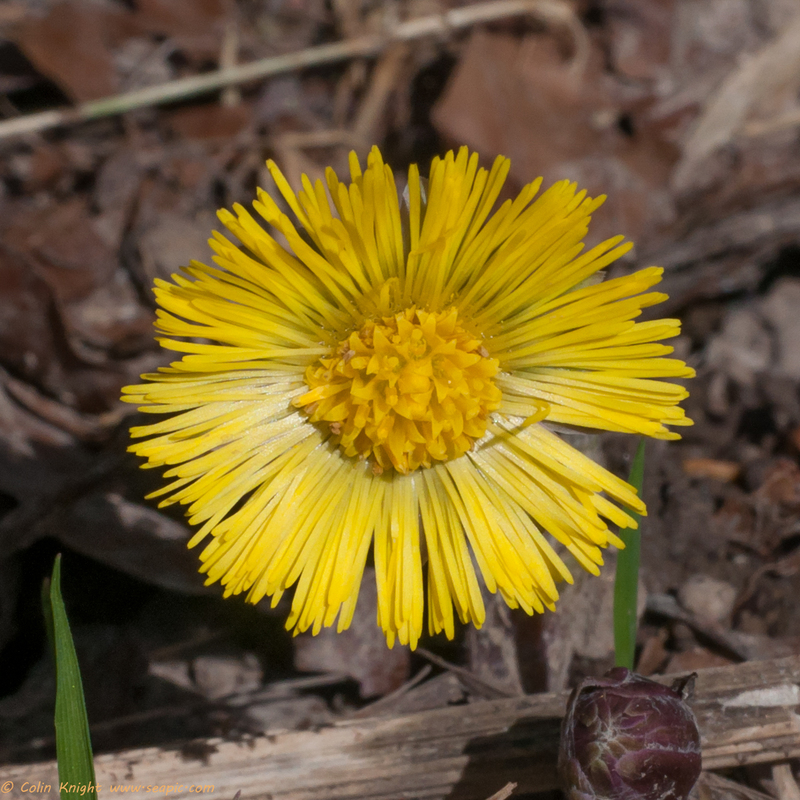 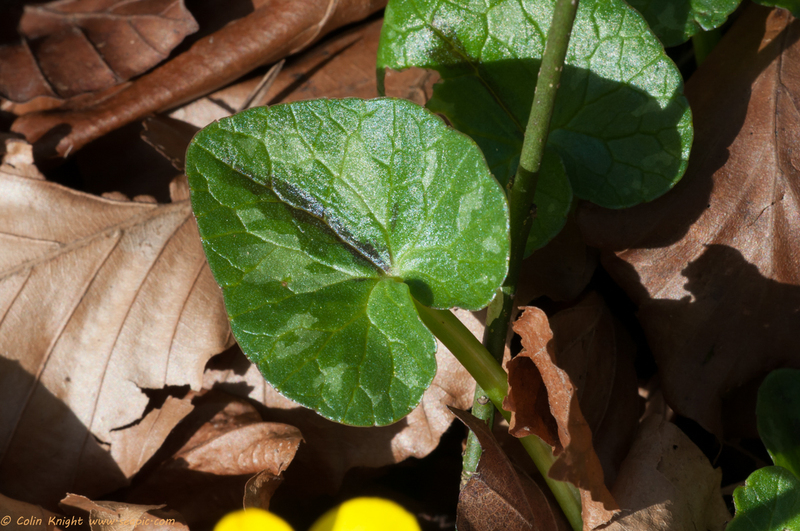 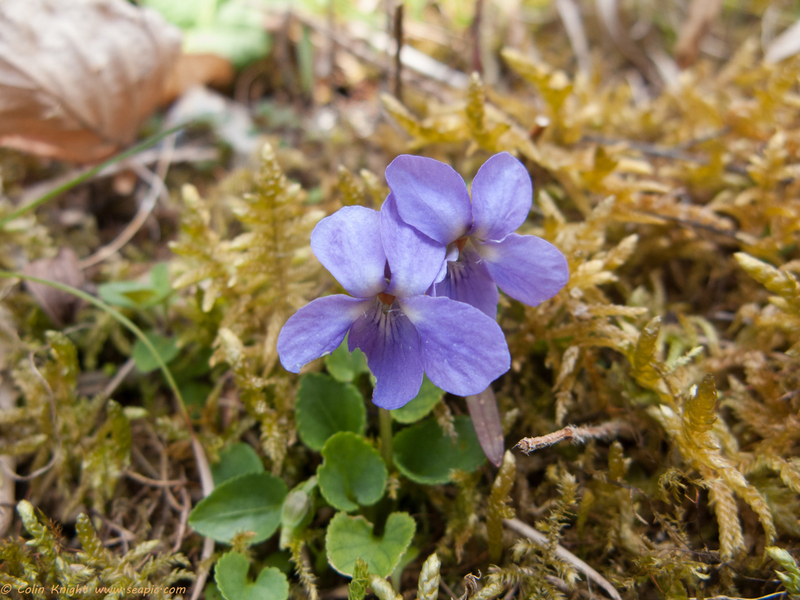 Wood Violets are also showing for the the Pearl-bordered Fritillaries which arrived at the site two year ago. 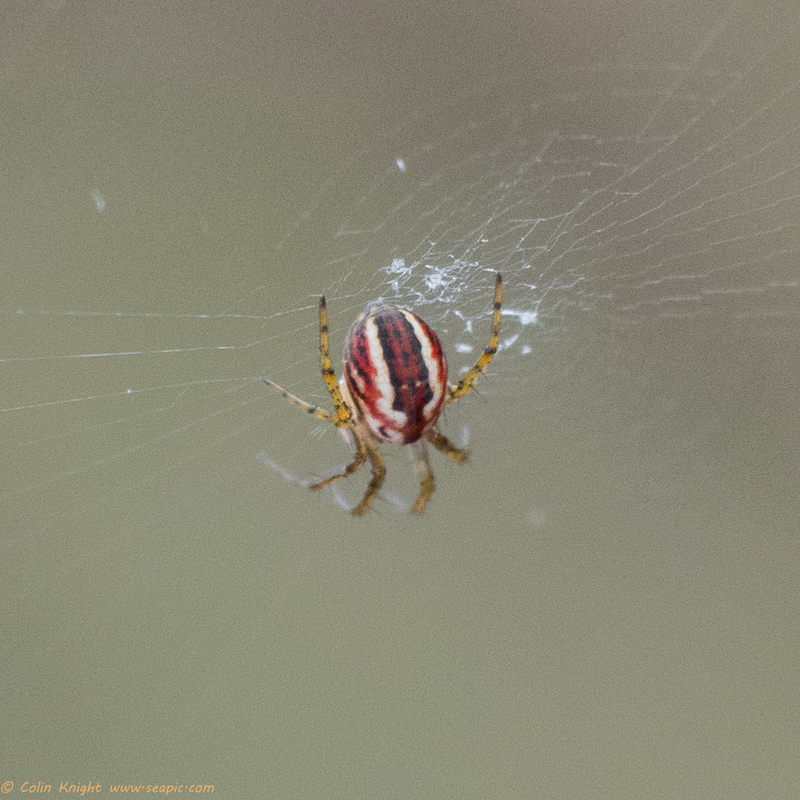 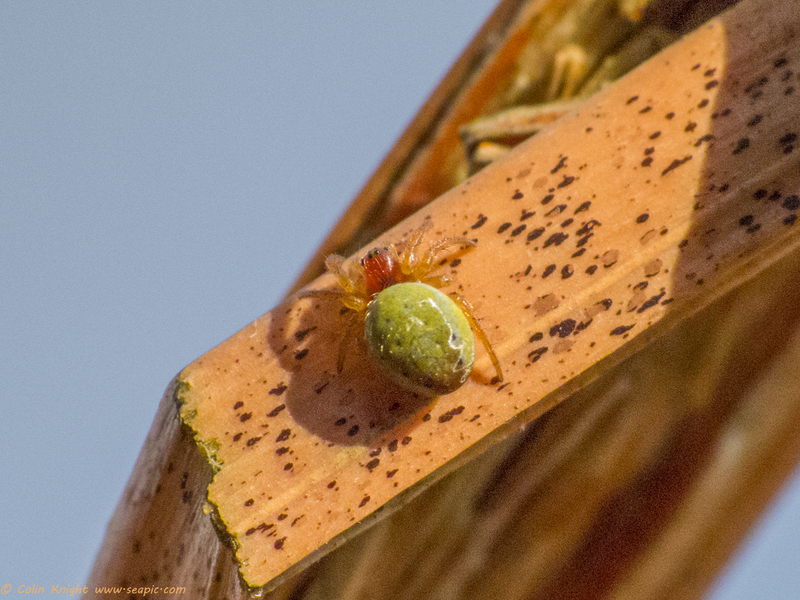 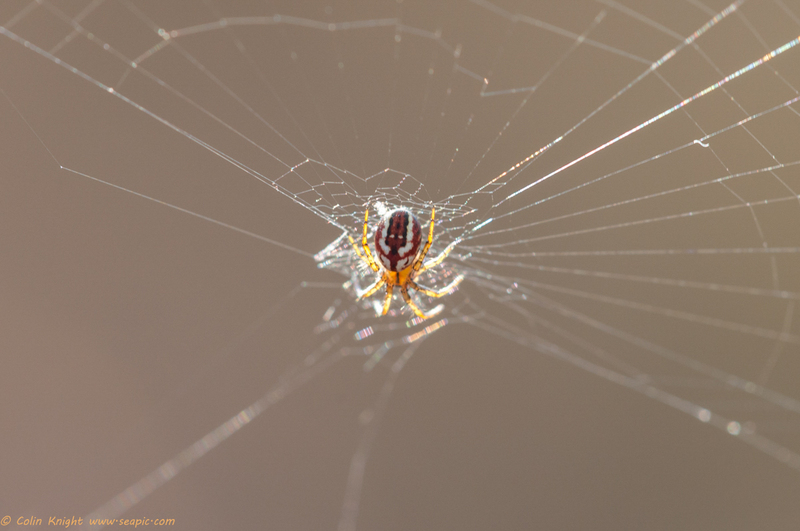 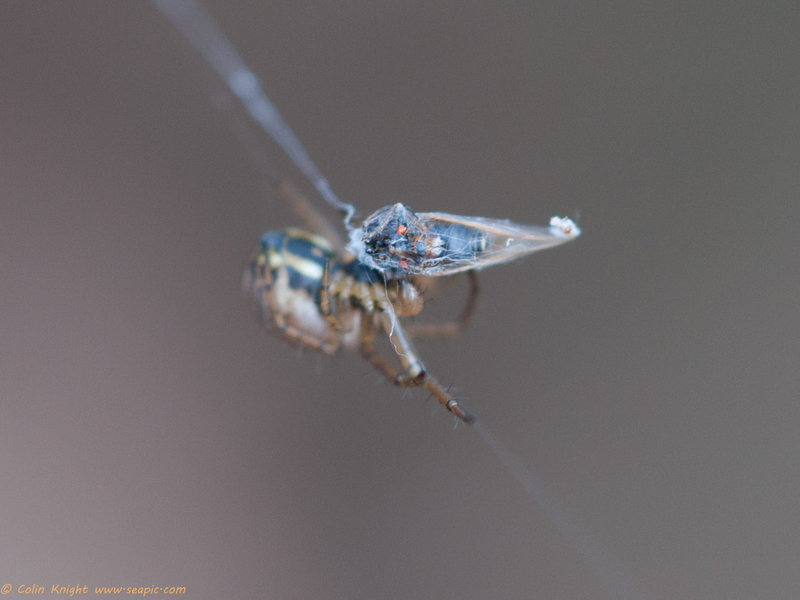 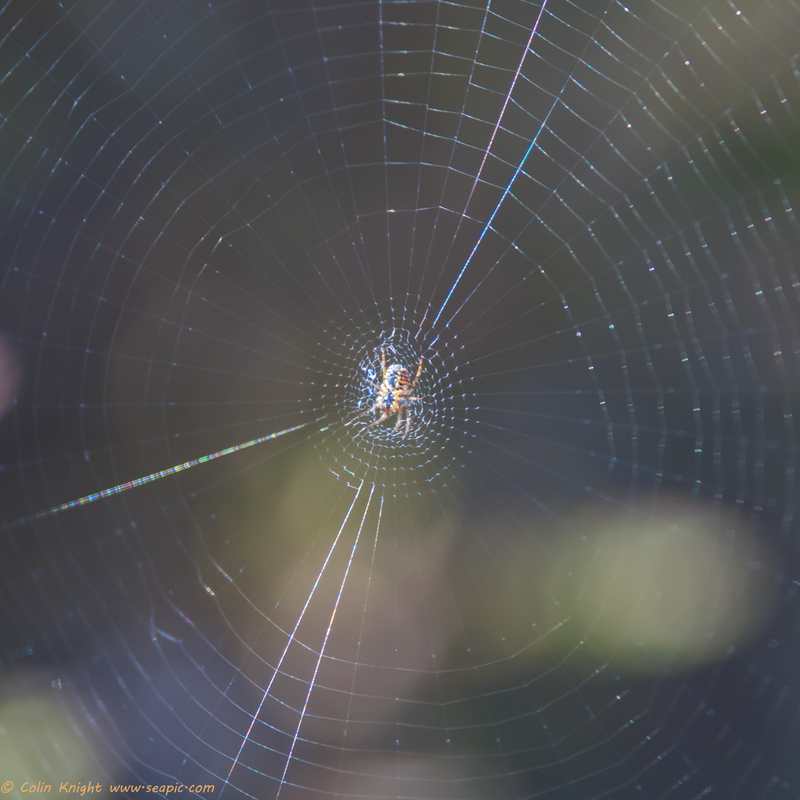 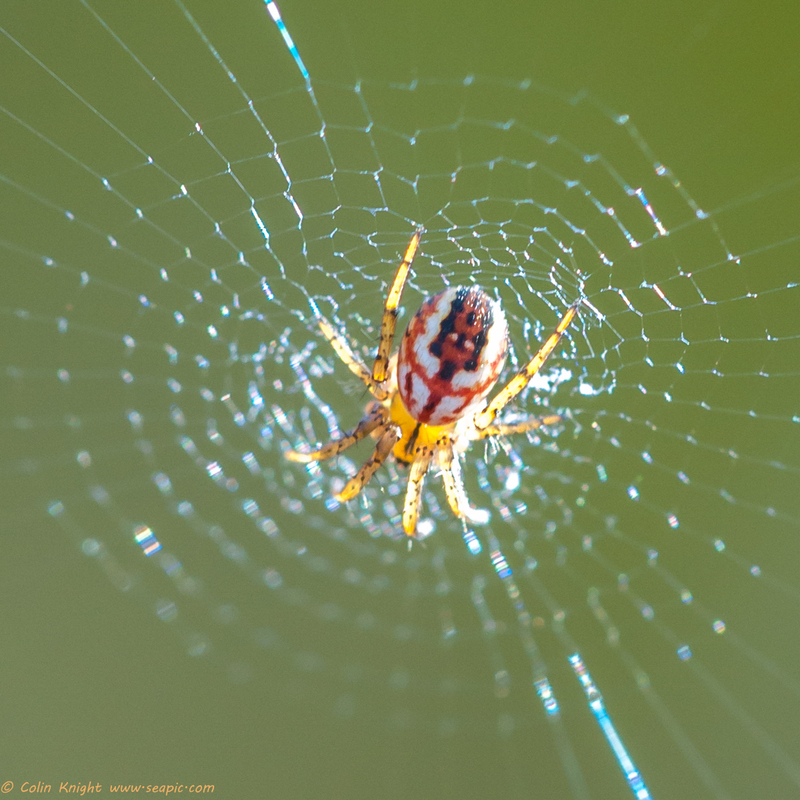 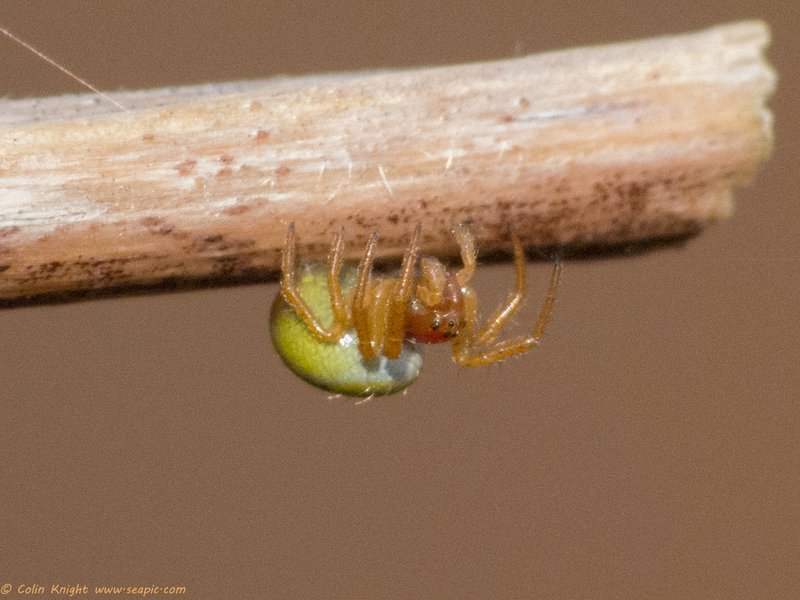 As usual I visited Iping Common afterwards and found more Cricket Bat Orb-weaver spiders, a Cobweb weaver spider and a Cucumber Green Spider. 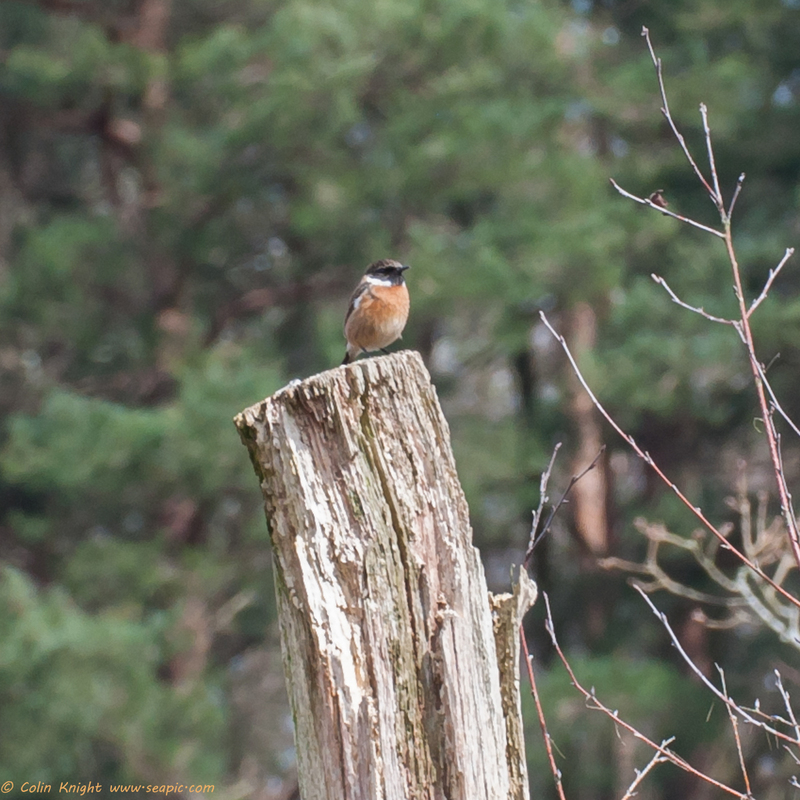 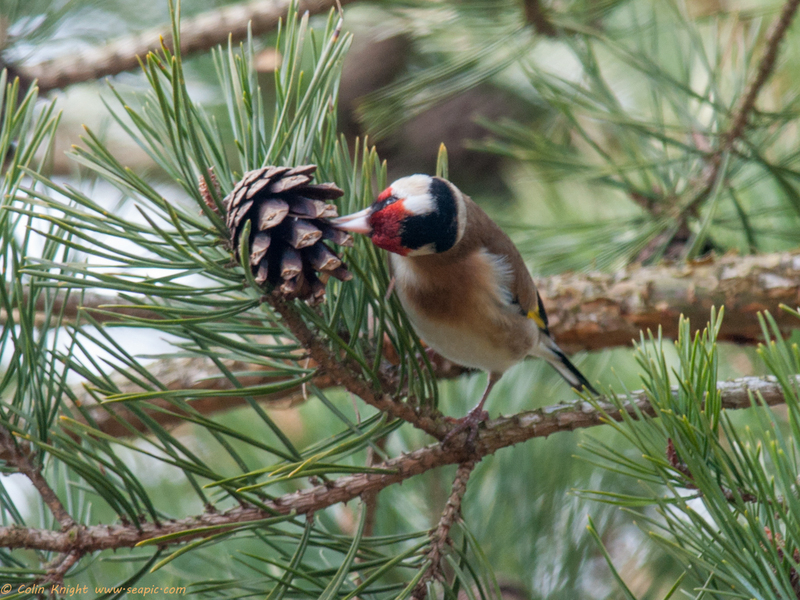 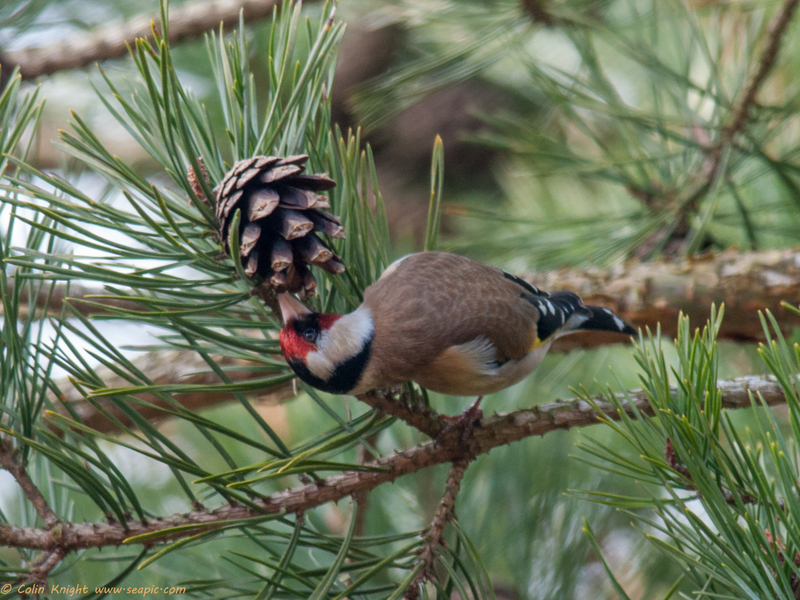 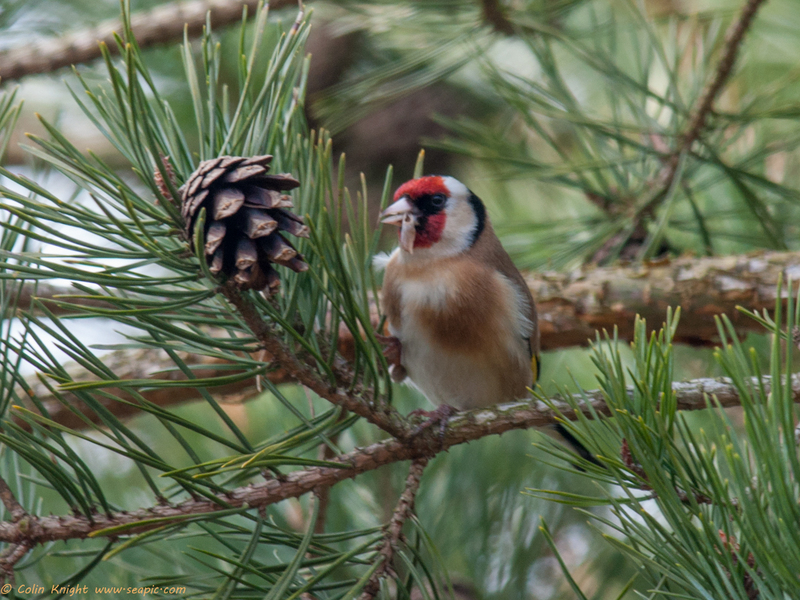 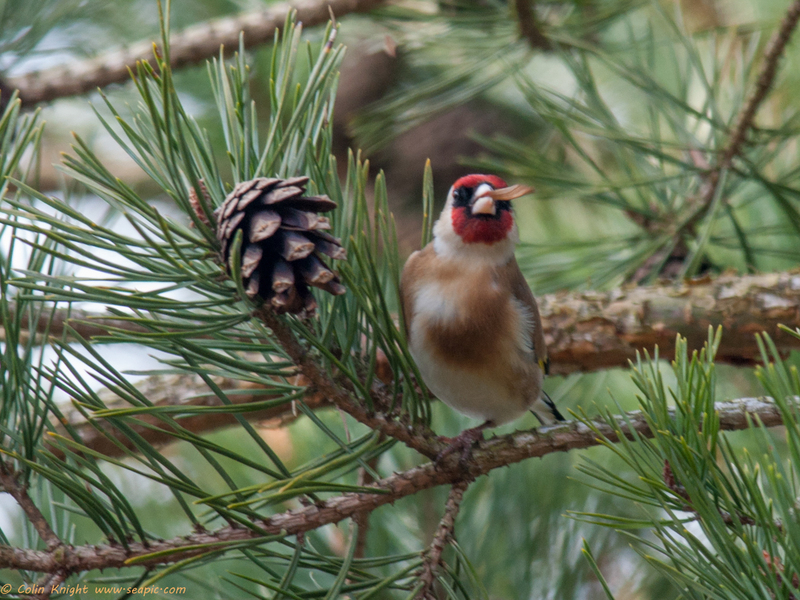 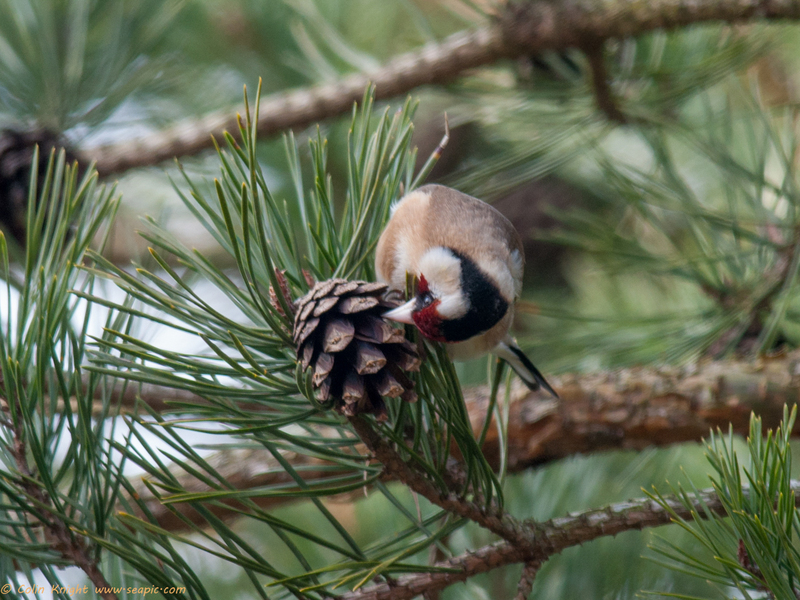 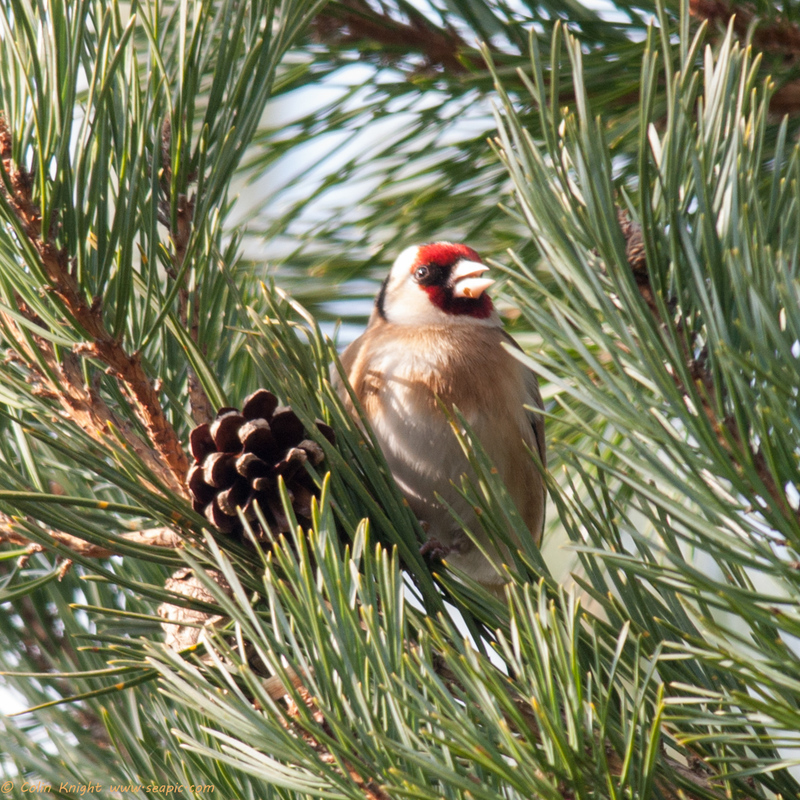 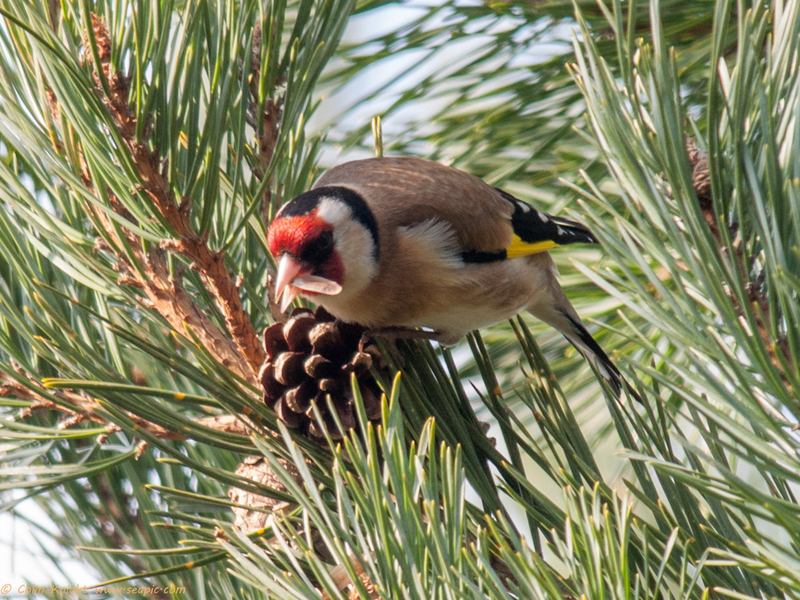 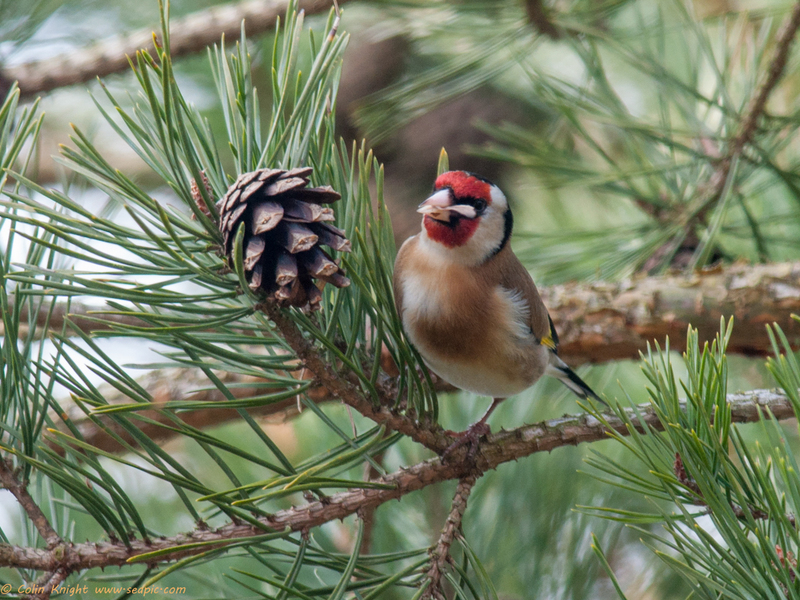 Goldfinches were feeding on pine cones and pine seeds kept whirling to the ground after being loosened by the birds. 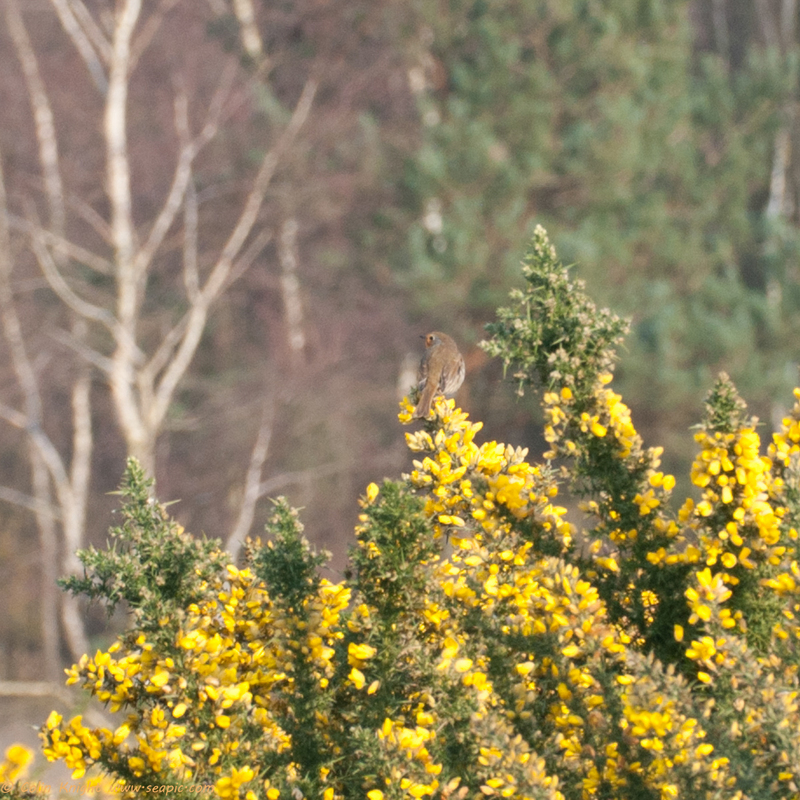 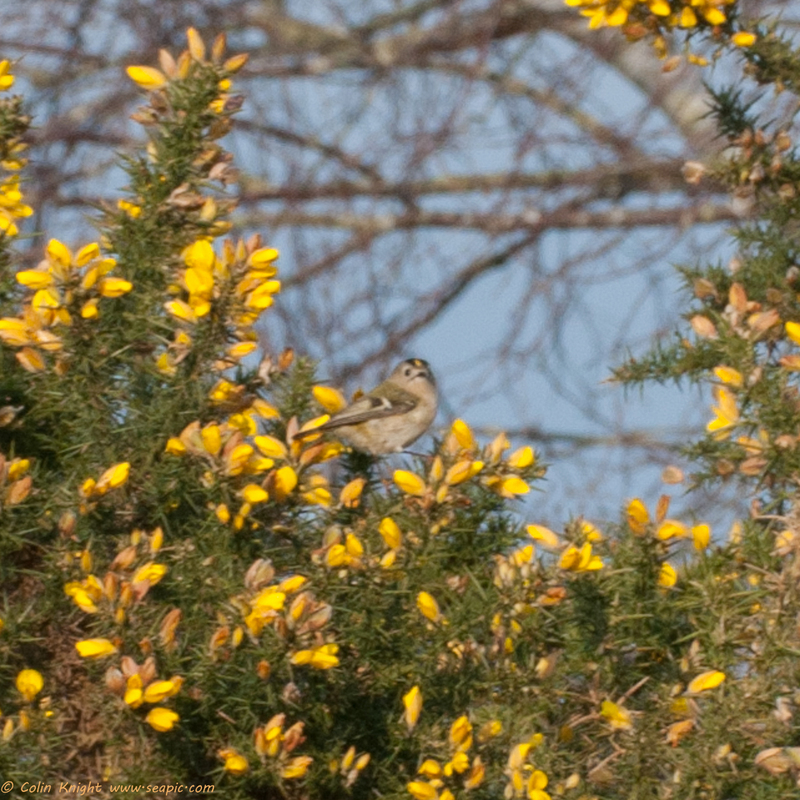 I spotted a Stonechat and Goldcrests in the Gorse. 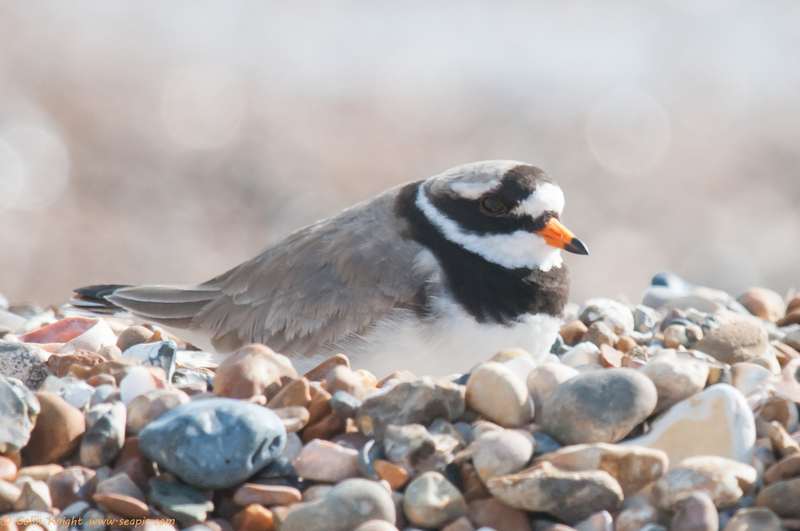 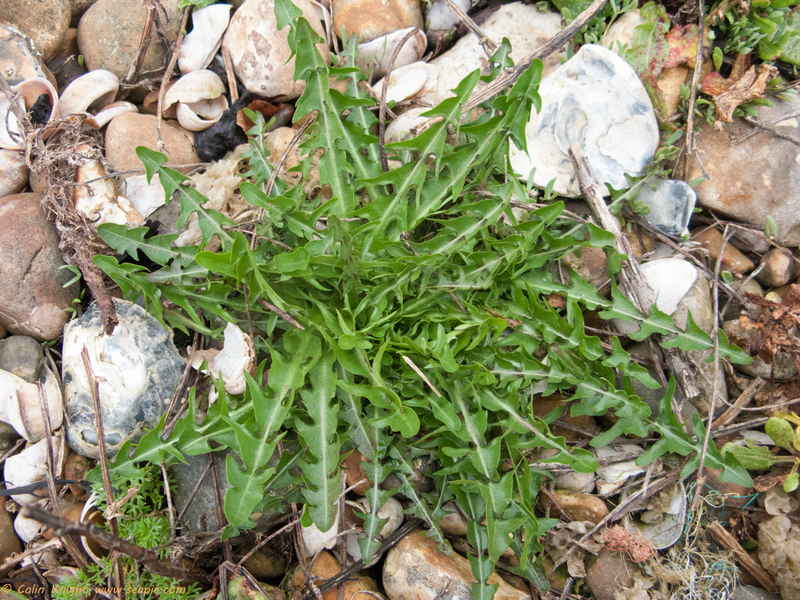 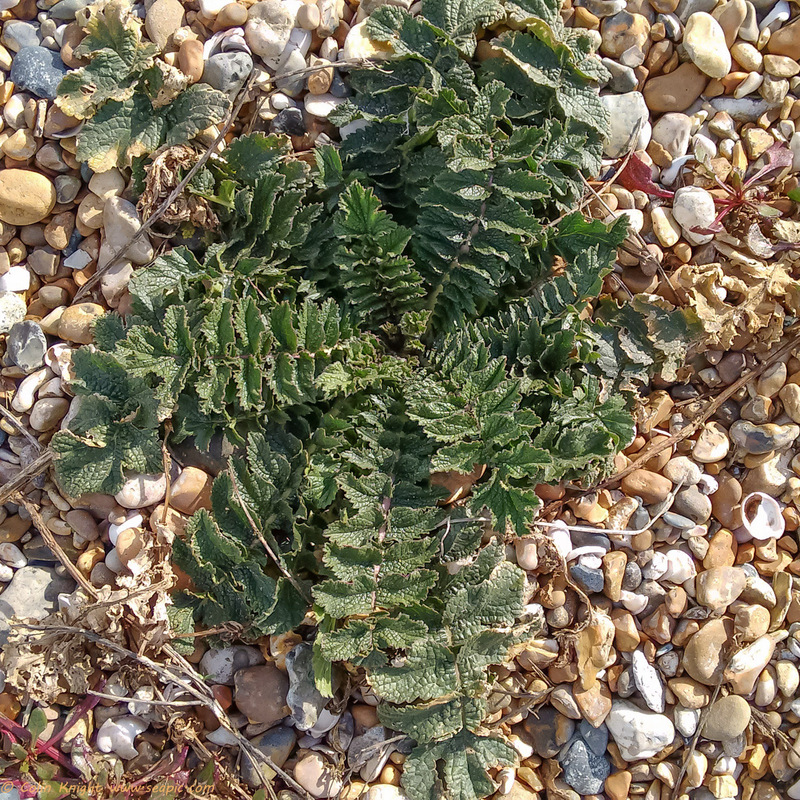 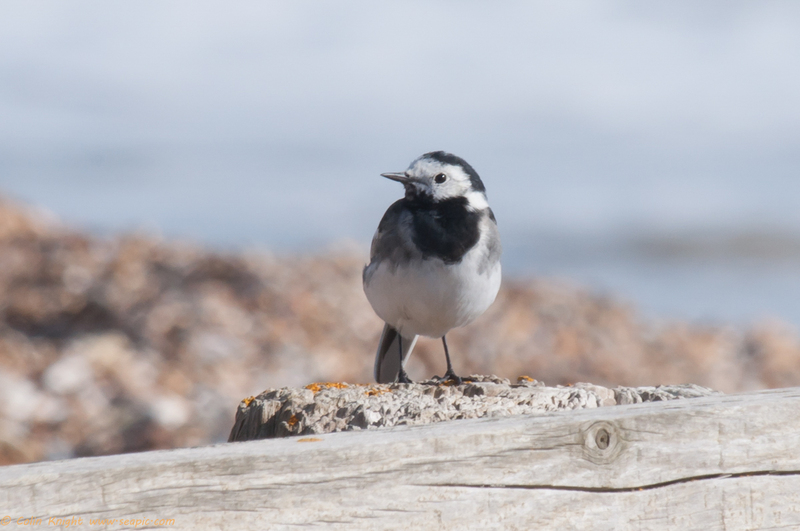 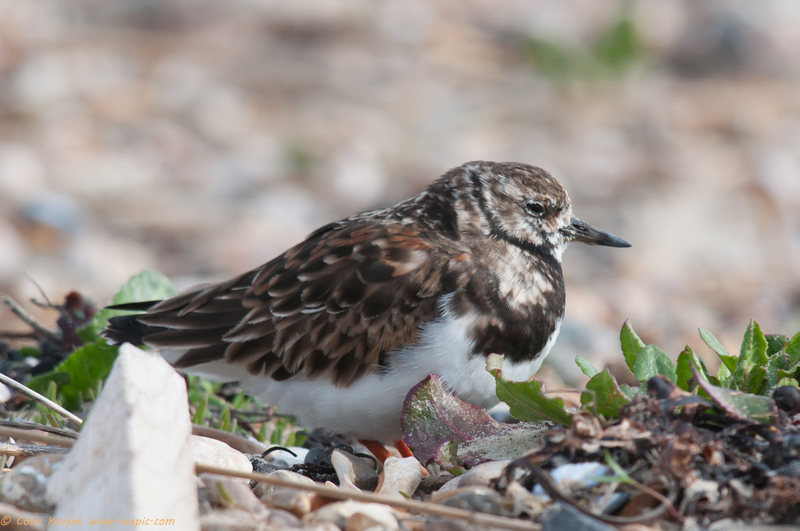 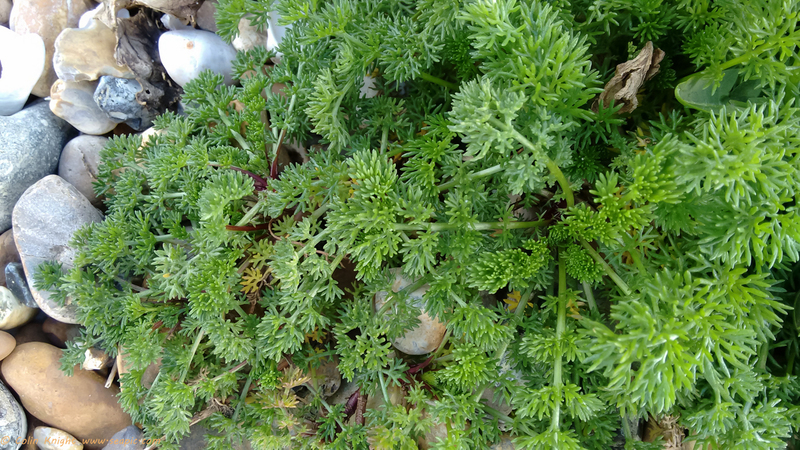 On Thursday a visit to the beach showed two nesting Ringed Plovers and the shingle plants are growing well. 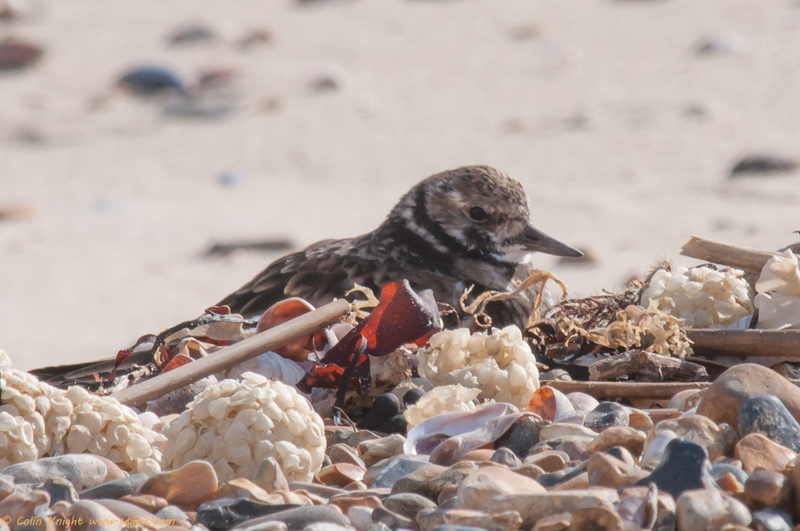 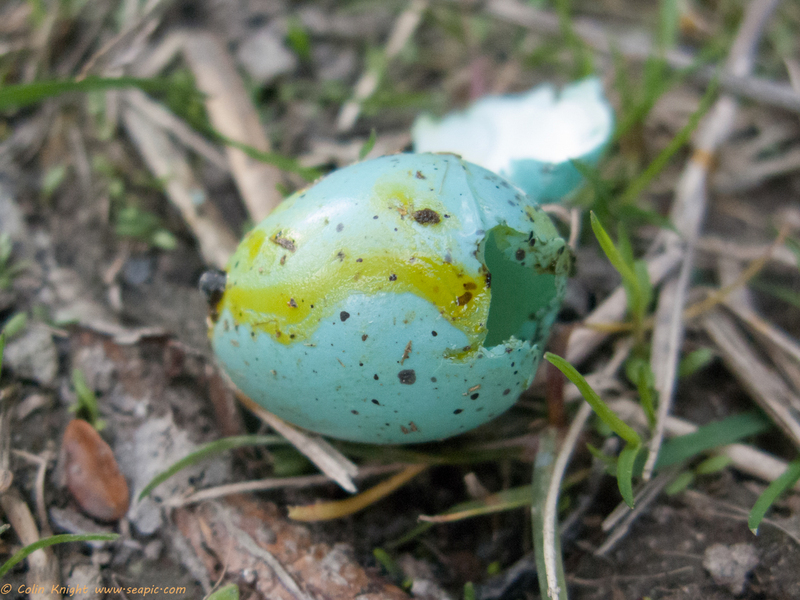 The plovers use the large clumps of Sea Kale to hide their young. 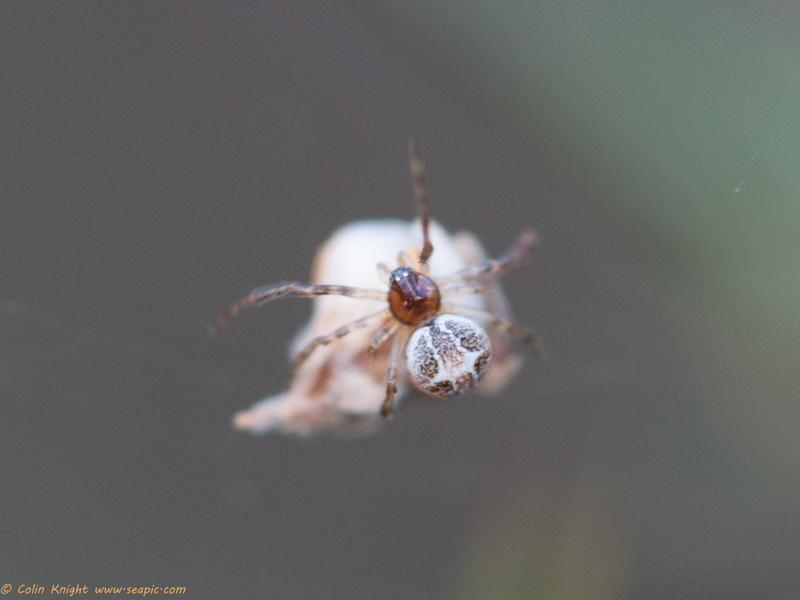 On Friday I went to Lords Piece where I found more Cricket Bat Orb-weavers. 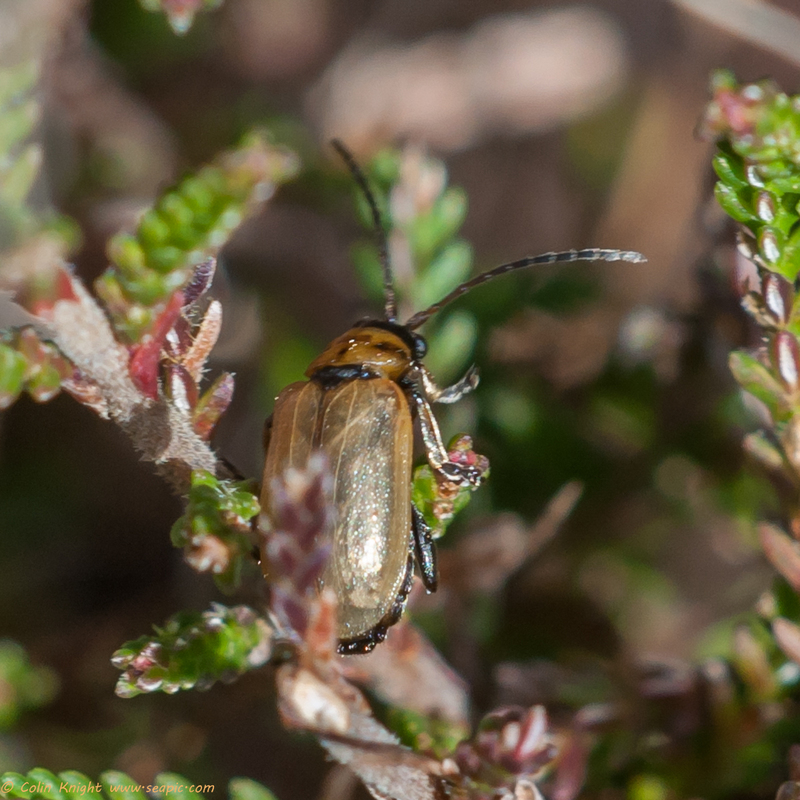 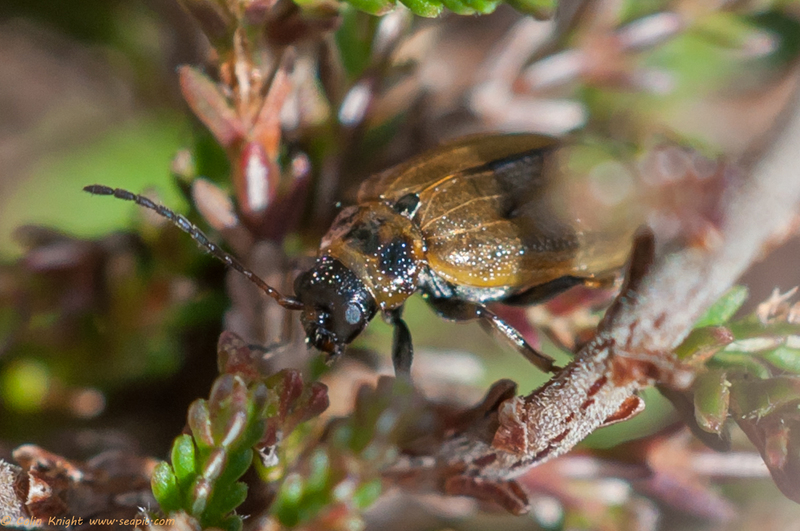 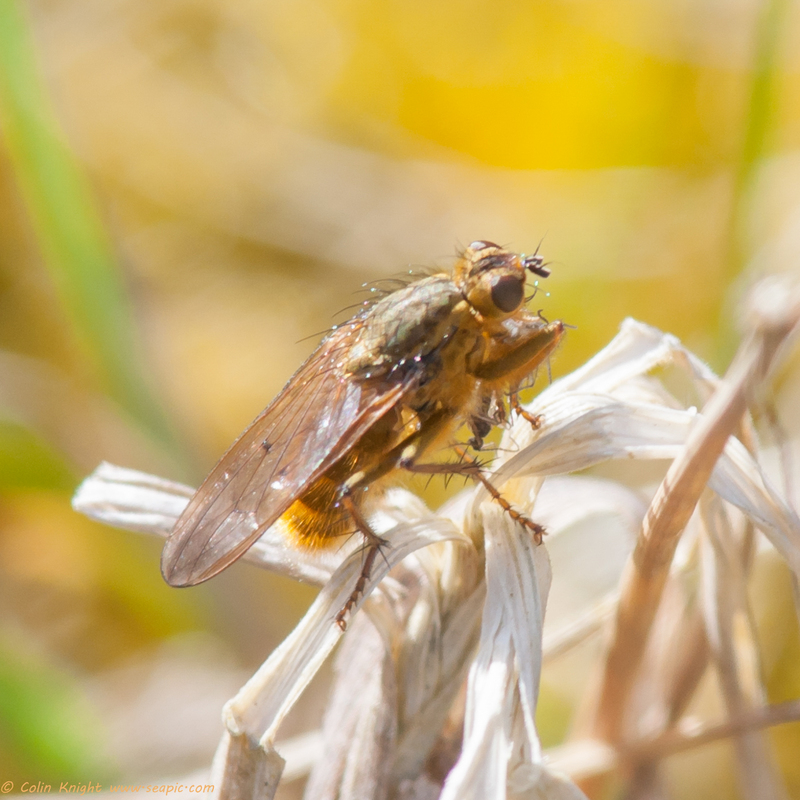 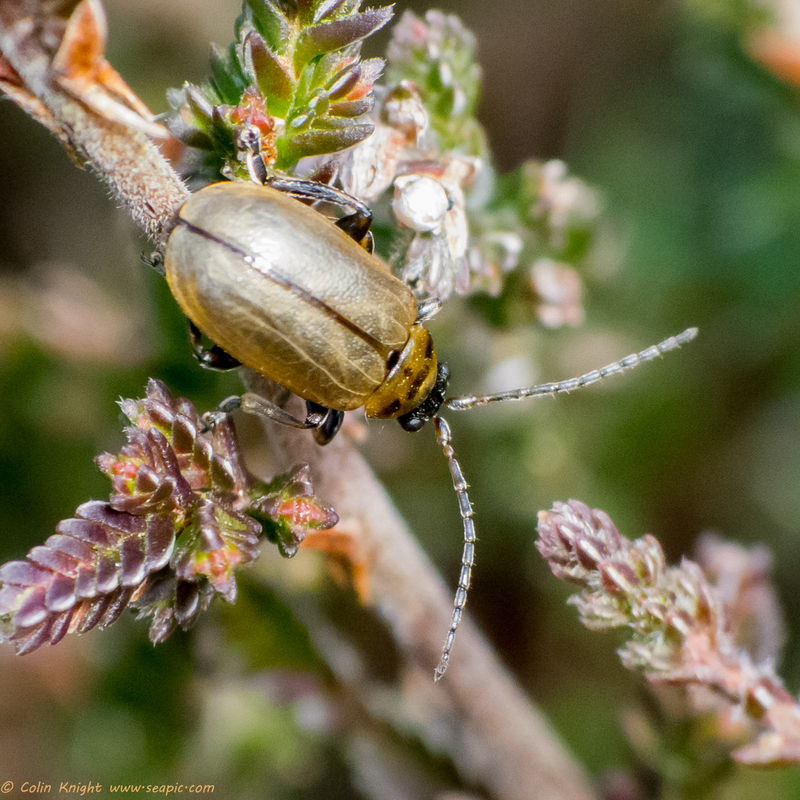 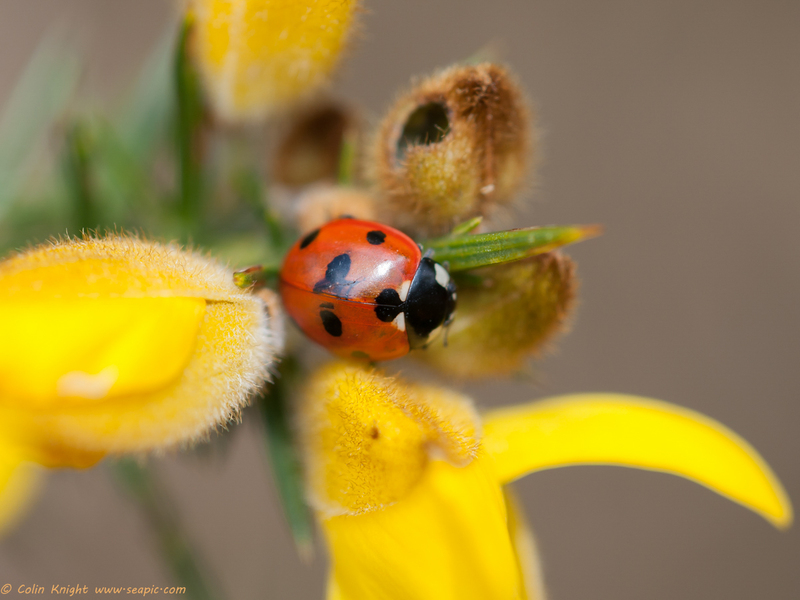 I noticed a lot of beetles on some heather plants and I identified them as Heather Beetles. 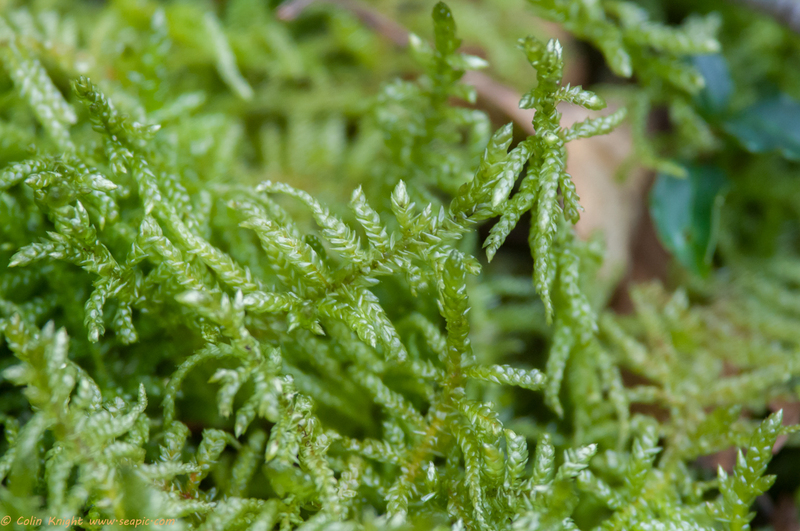 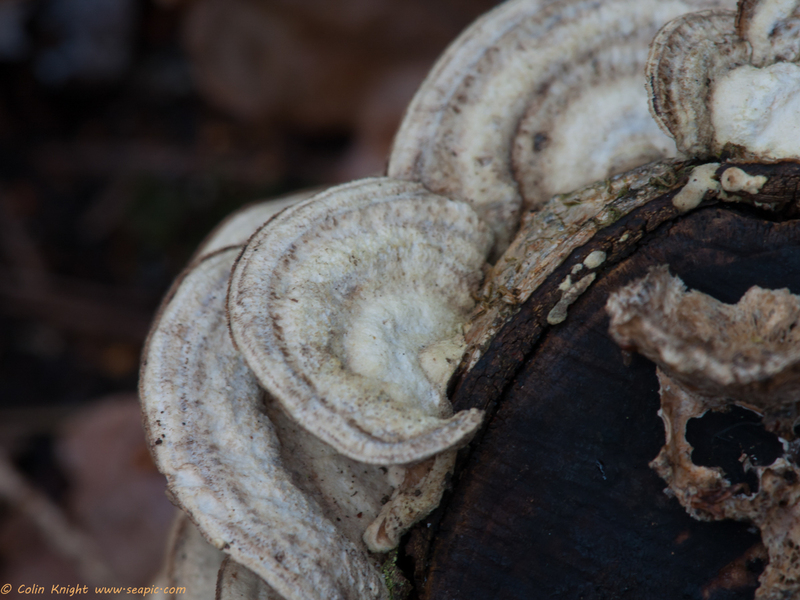 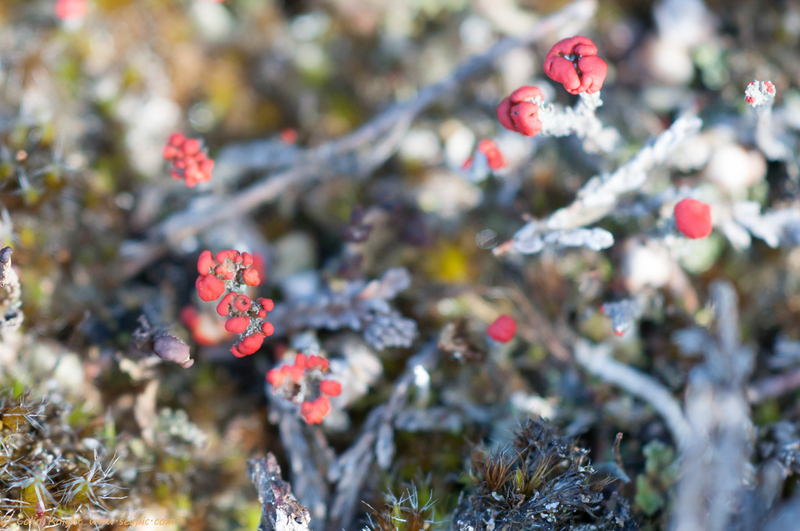 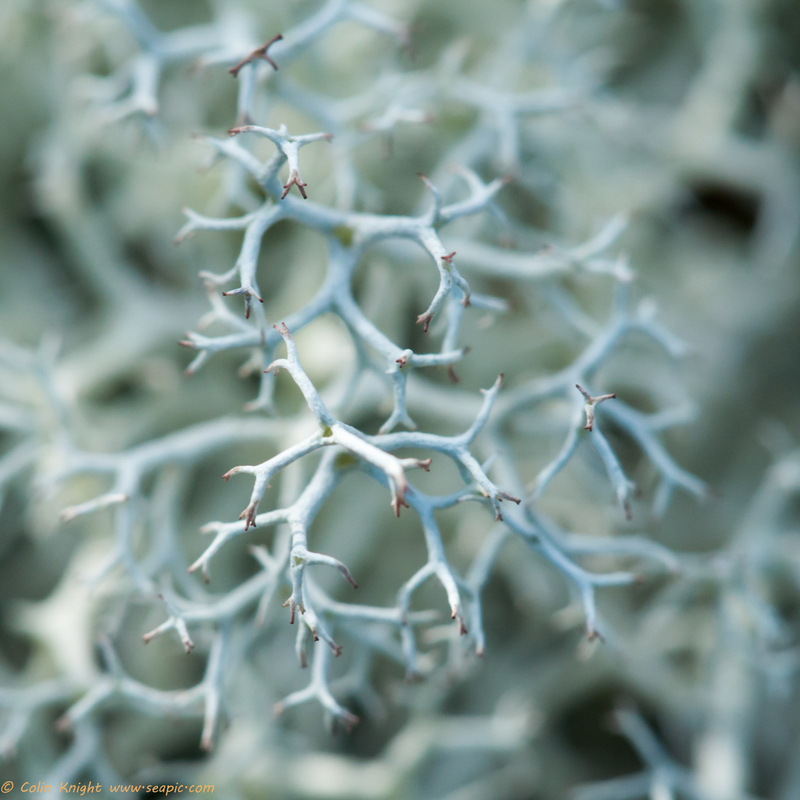 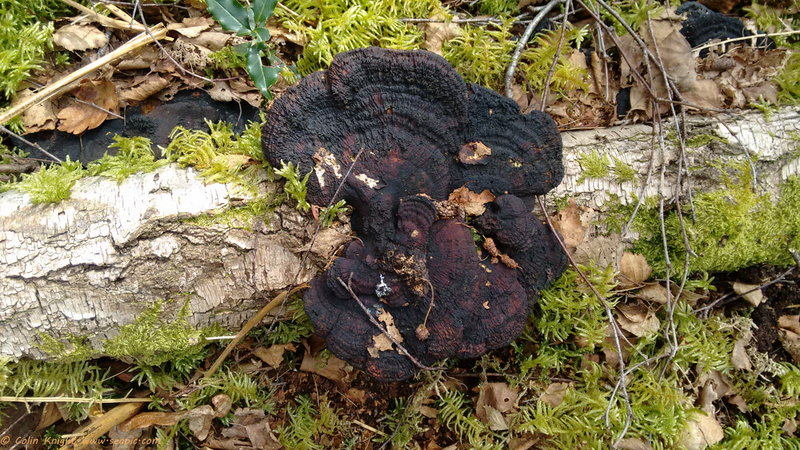 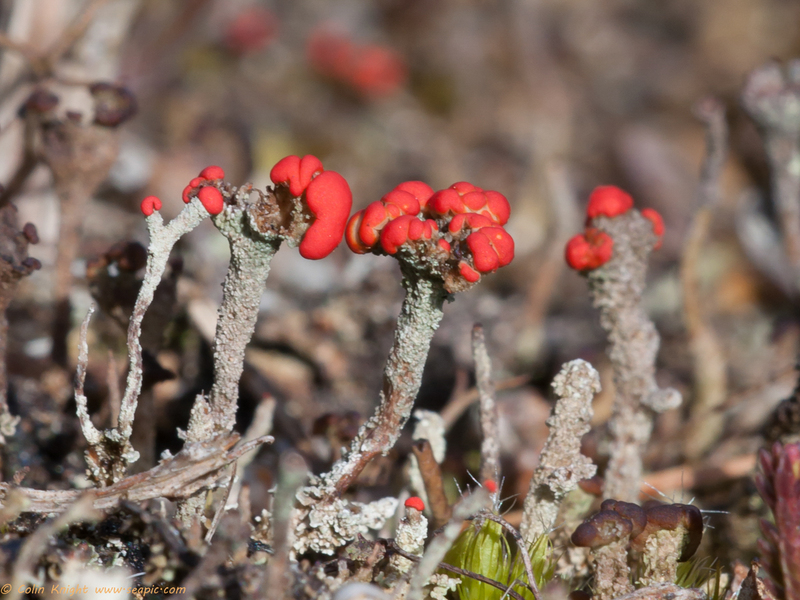 Lichen with red fruiting bodies were everywhere and a Brimstone butterfly flitted across the bracken in the distance. 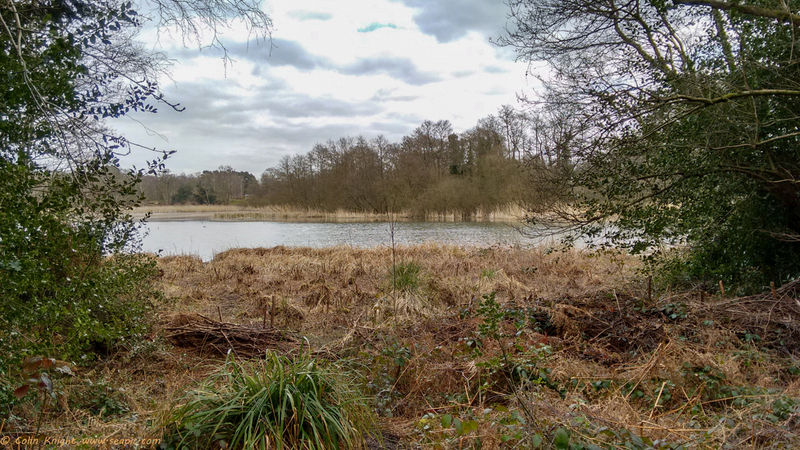 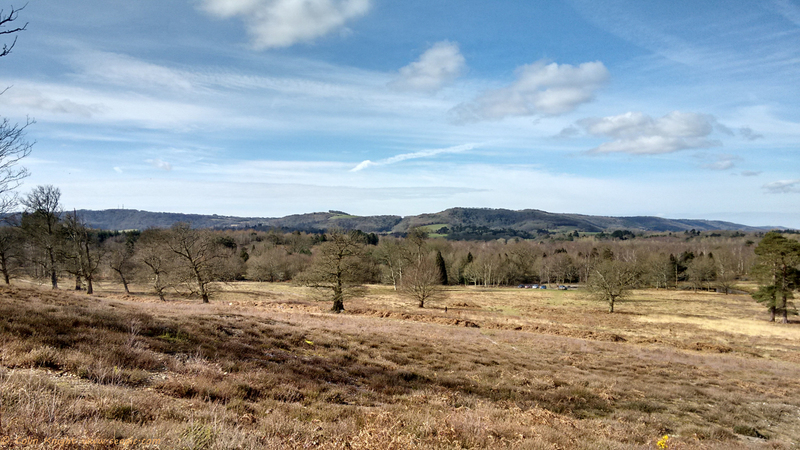 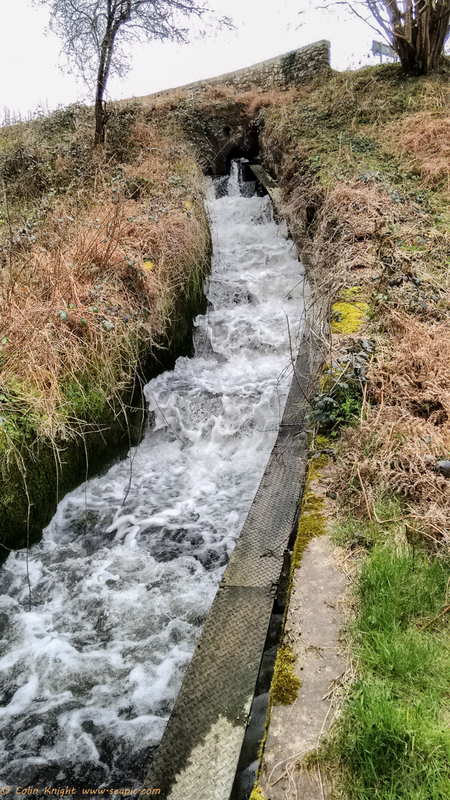 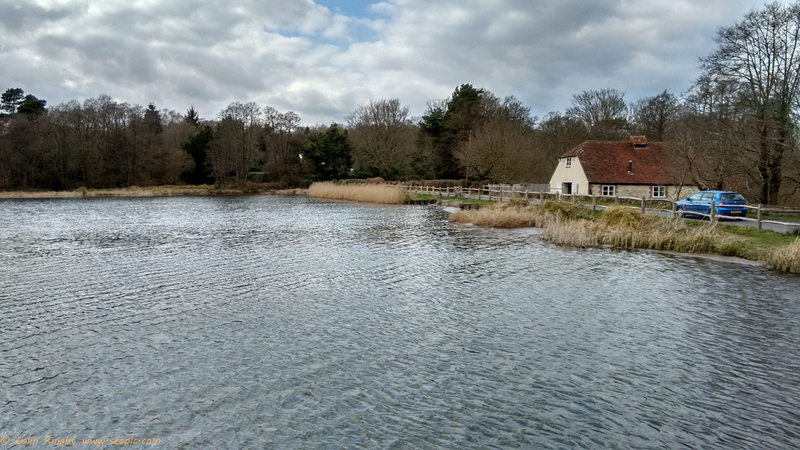 Afterwards I walked along the west side of Burton Mill Pond. 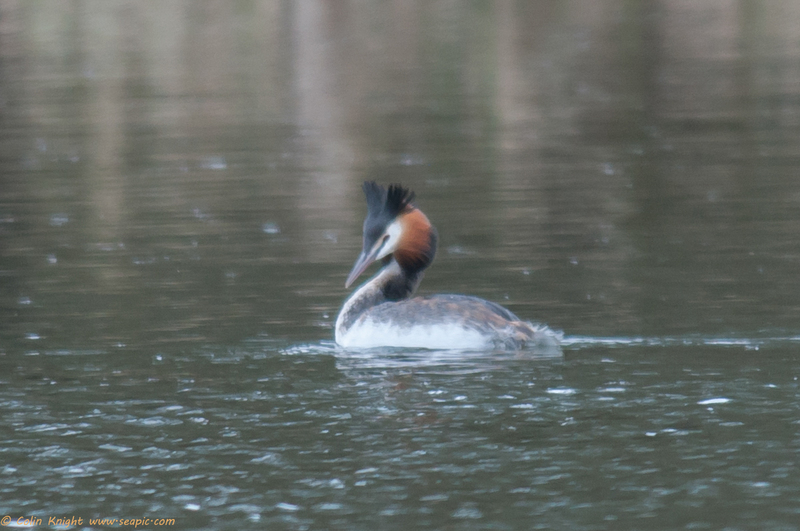 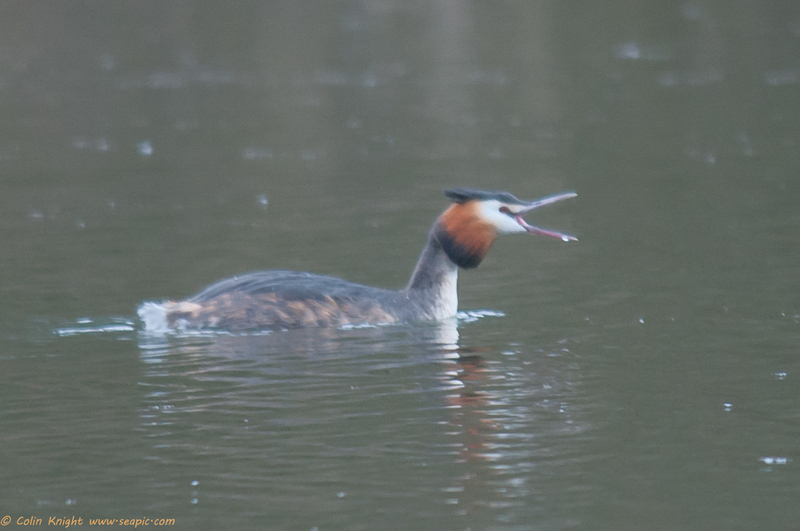 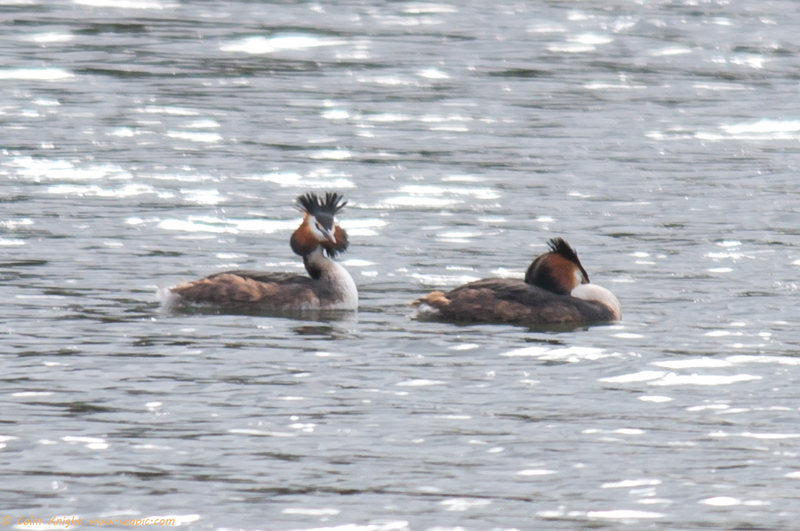 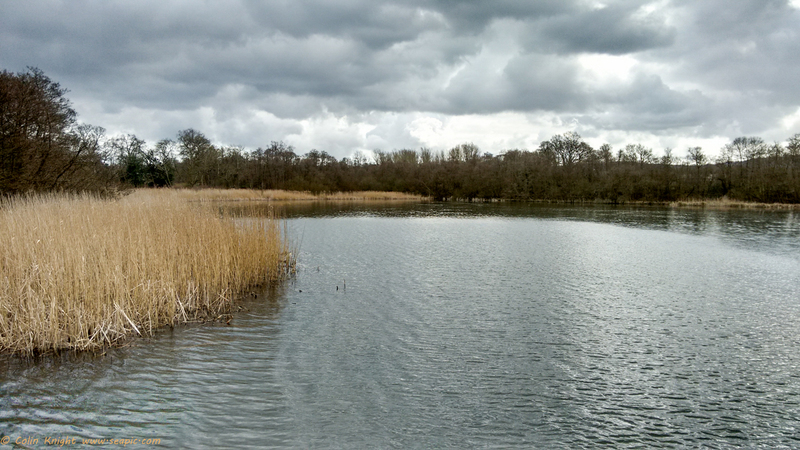 A pair of Great Crested Grebes stayed in the middle of the lake.